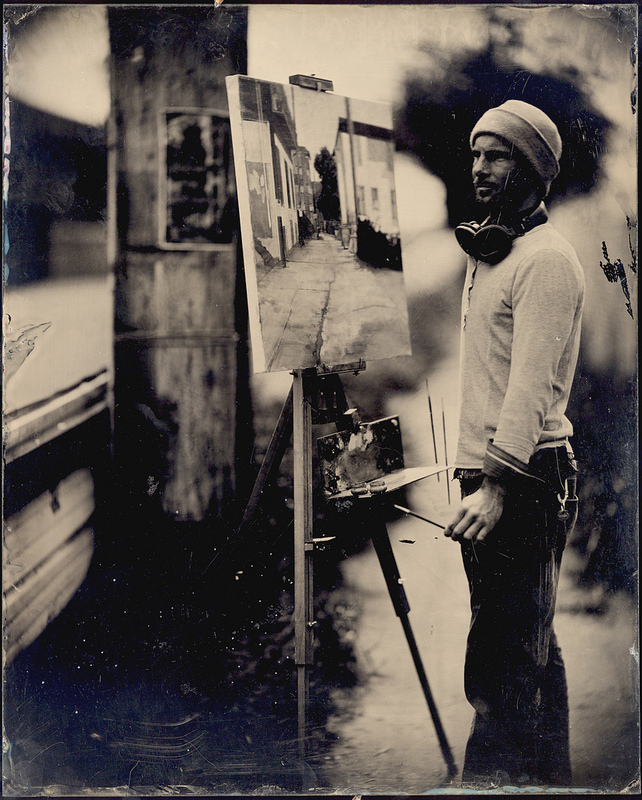 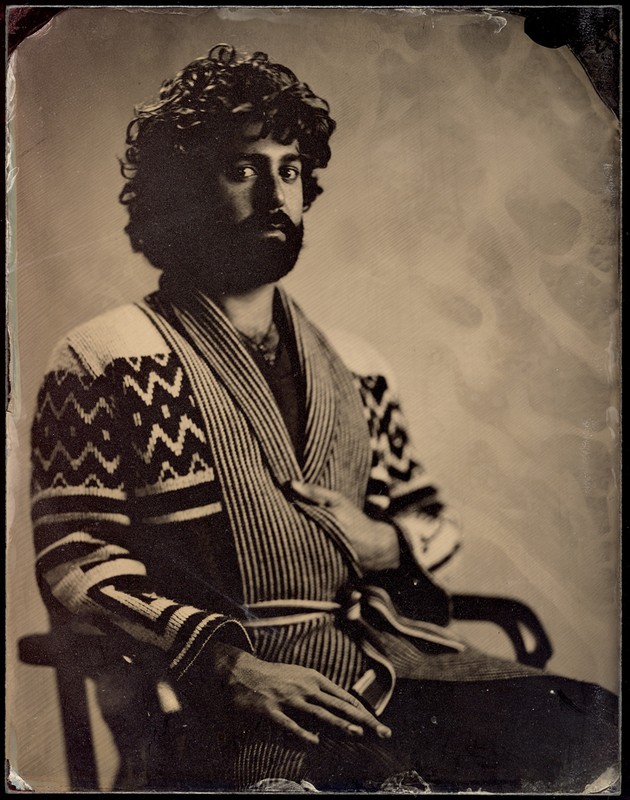 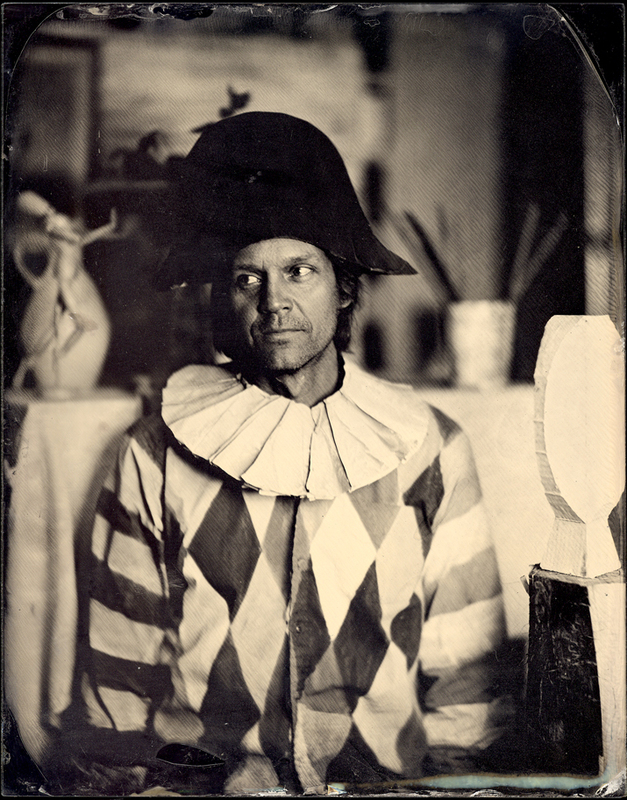 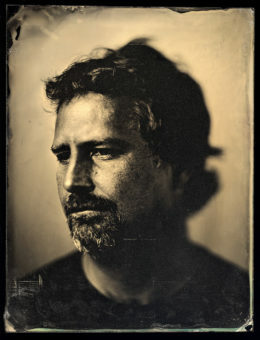 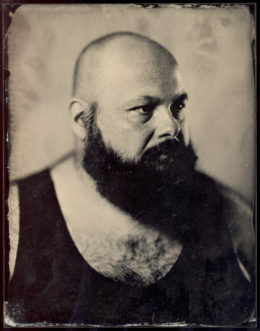 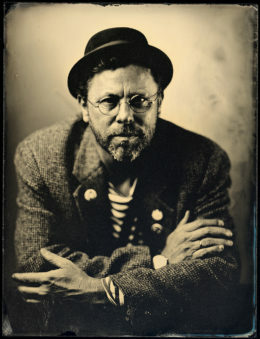 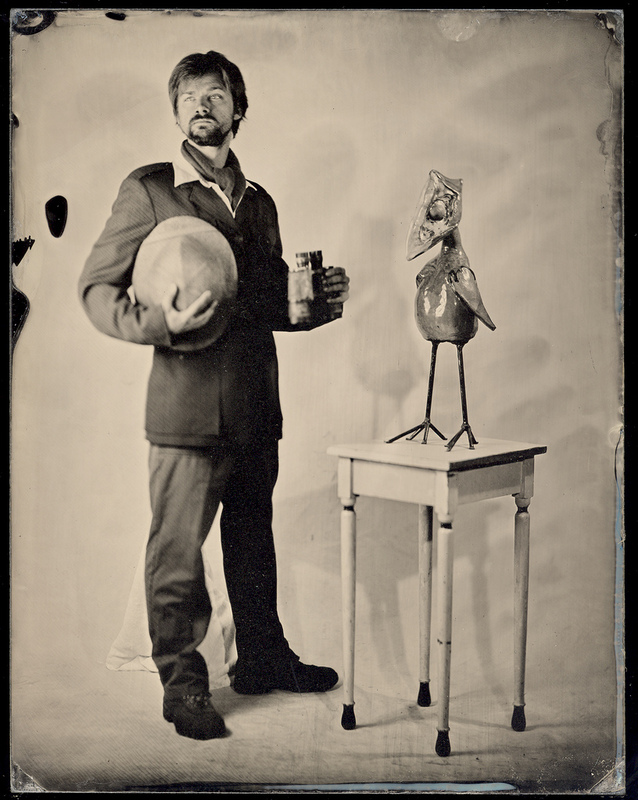 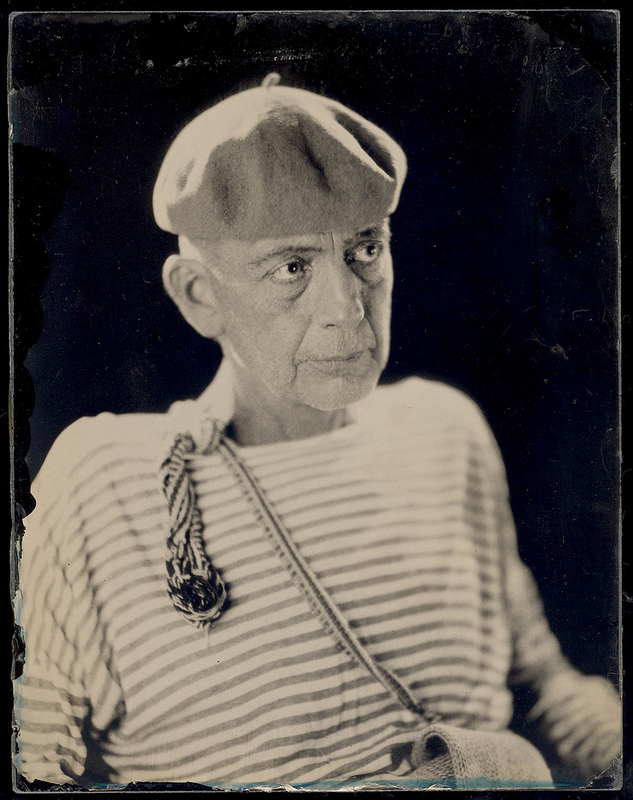 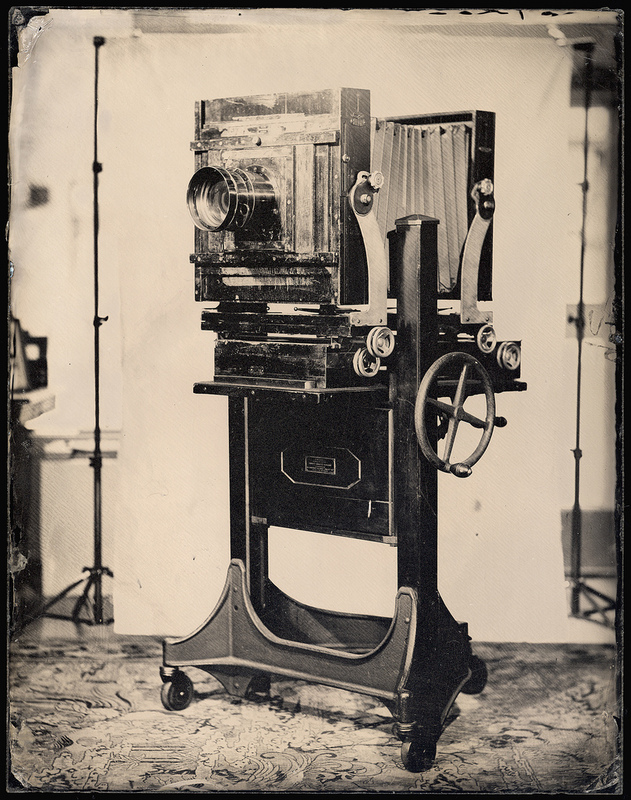 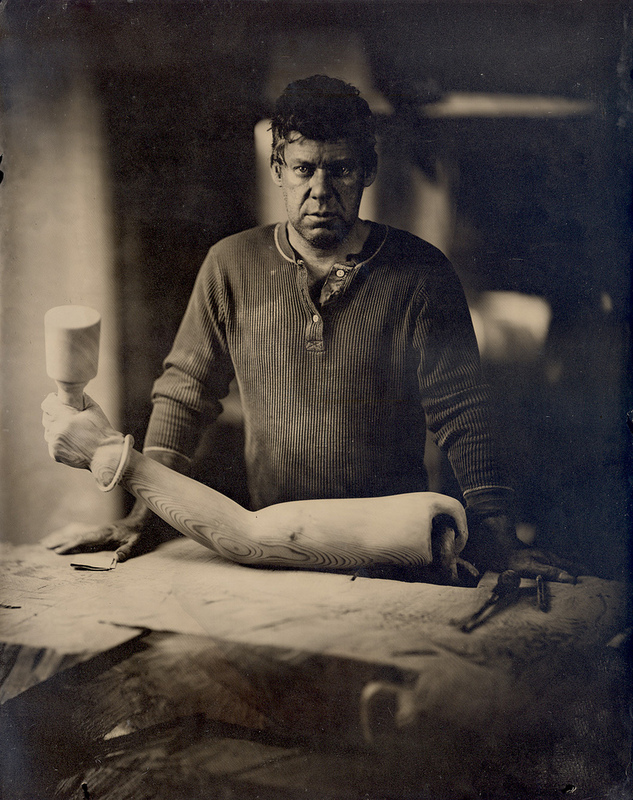 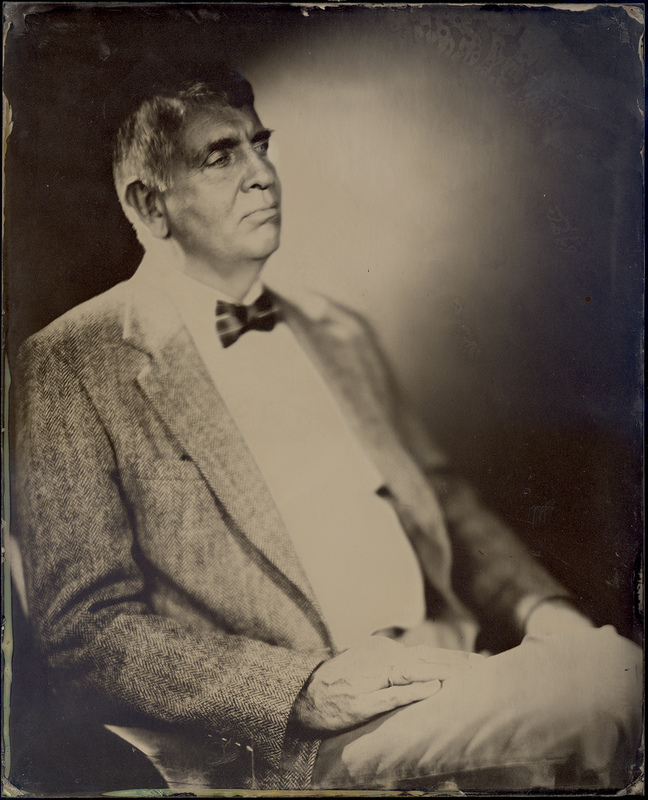 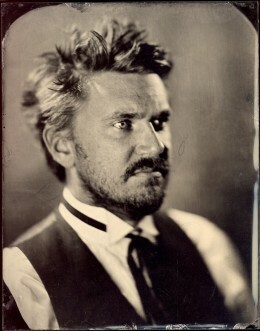 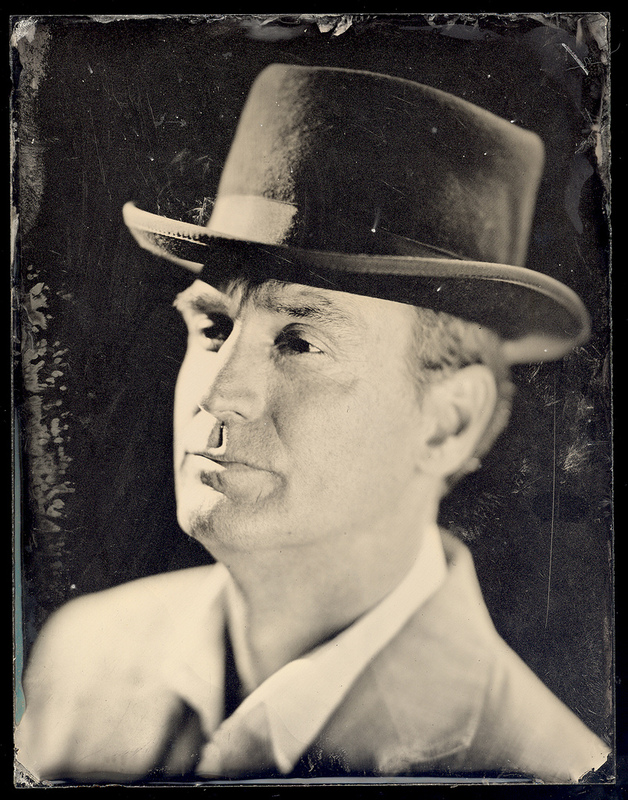 Wet plate collodion process was invented in 1851 by Fredrick Scott Archer. Halogen salted nitrocellulose, better known as collodion, is poured onto a glass or blackened metal substrate flowed evenly over the surface to create a thin film. 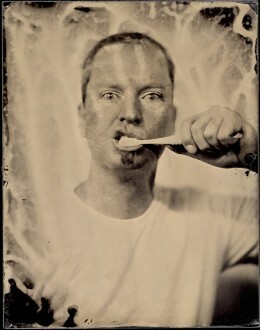 The plate is then submerged into a bath of silver nitrate. 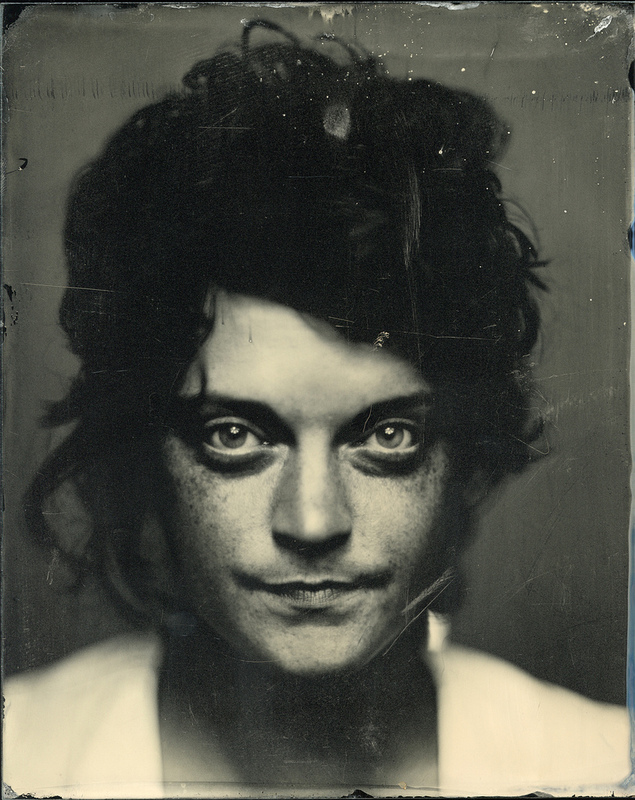 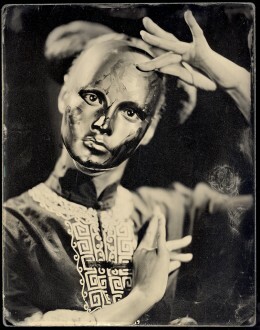 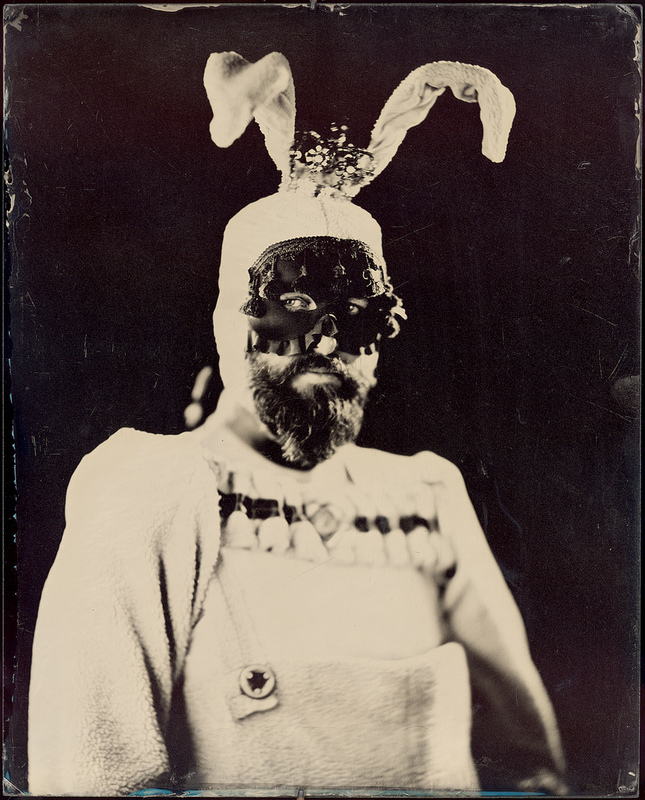 The silver is absorbed by the collodion and the halogens react to make light sensitive film. The plate is taken out the silver nitrate bath, put into a light tight holder and exposed in camera before the plate dries rendering it insensitive to light. The plate has a very slow speed compared to modern films. 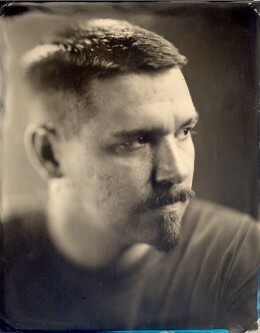 In comparison, ASA 100 speed film allows an exposure of a scene in full sunlight at 1/100th of second at f/16. 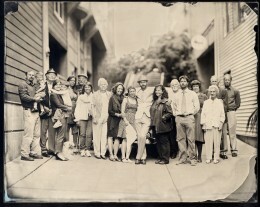 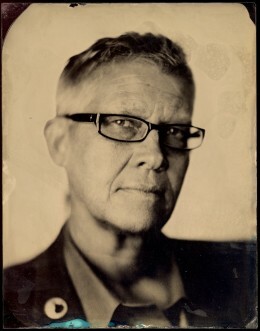 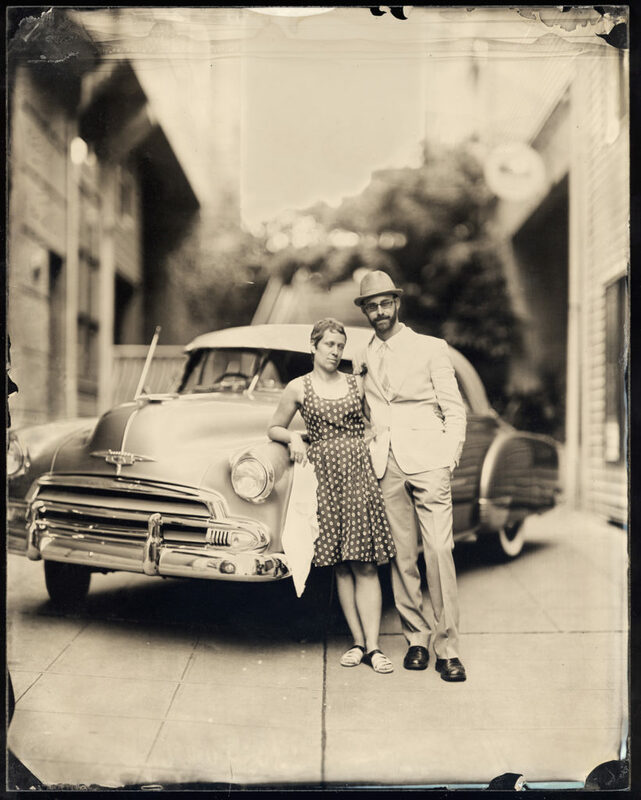 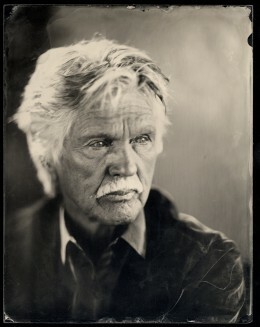 The same exposure using wet plate would be rated at ASA 1 or .5 requiring the same scene to be made at f/16 at 1 second. After the exposure is made, the plate is developed out, fixed within a few minutes and then varnished to keep the silver from tarnishing. Images on glass are called ambrotypes and images on darkened metal are call tintypes. 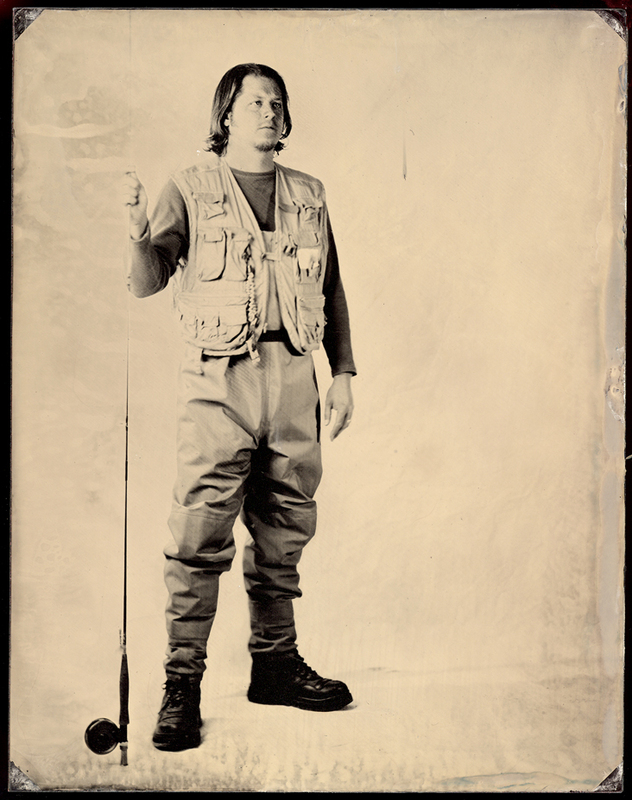 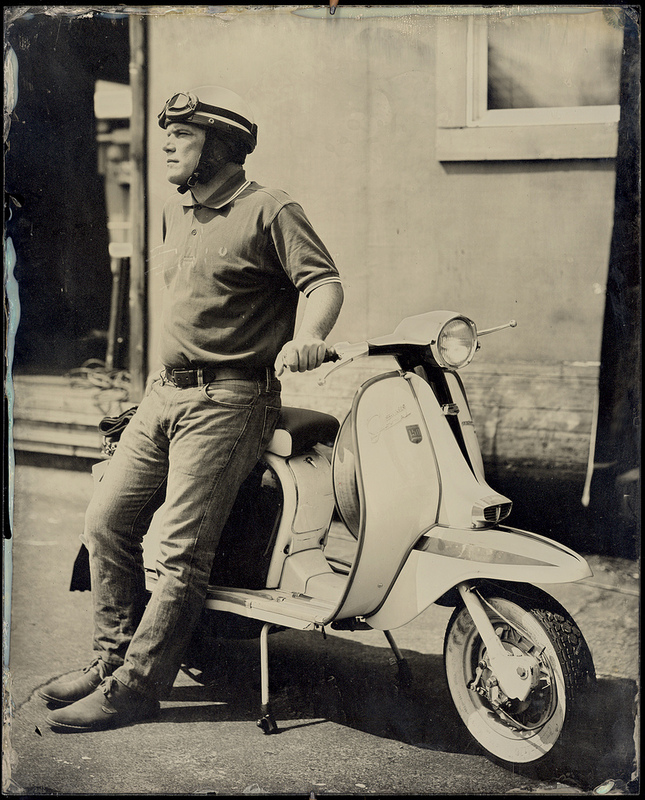 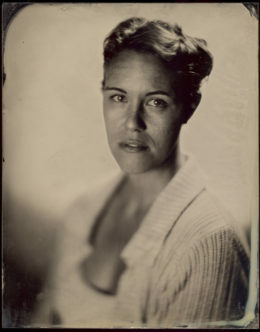 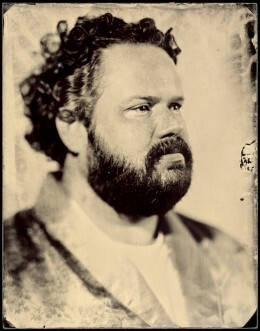 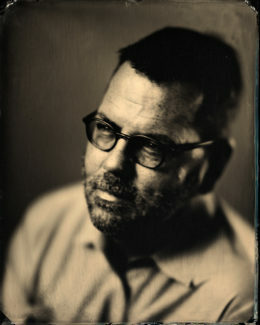 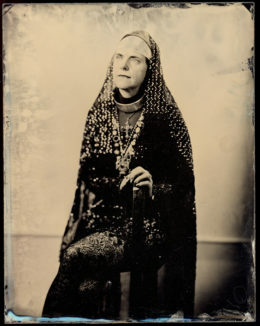 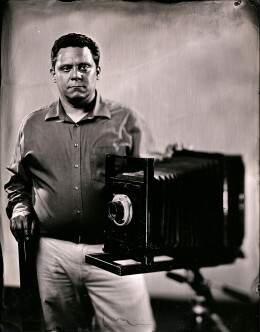 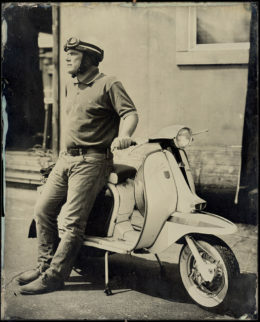 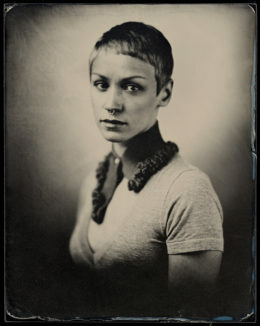 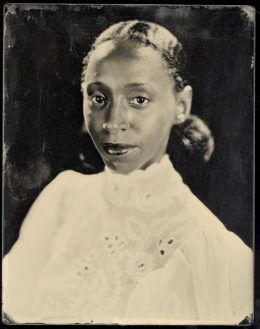 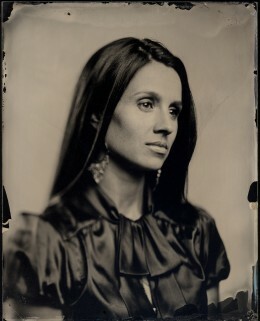 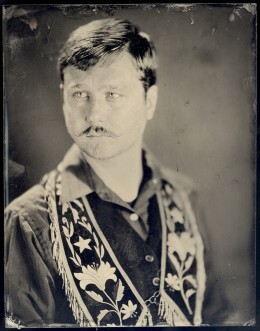 Most modern tintypes are usually made on black trophy aluminum. 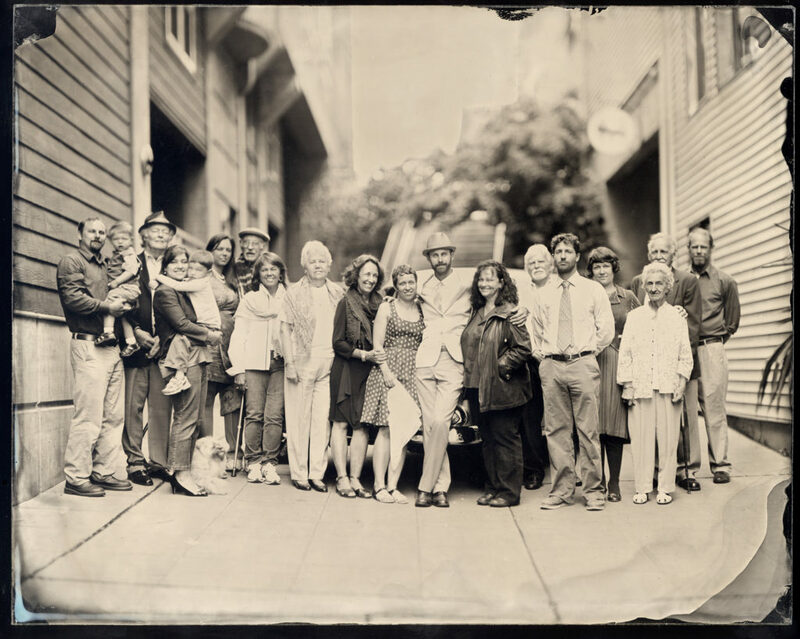 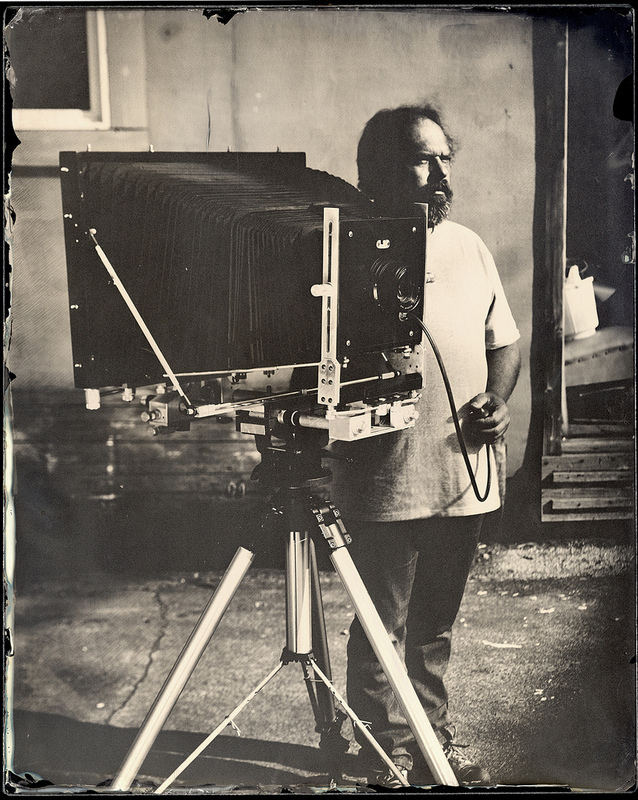 Wet plate collodion negatives have longer exposures and the developer contains more acetic acid reduce more silver rendering a dense almost opaque plate that can be printed out on modern or print out paper. 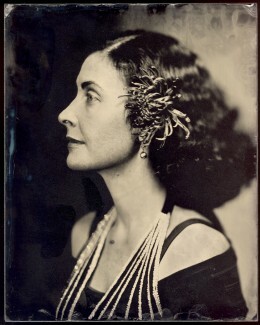 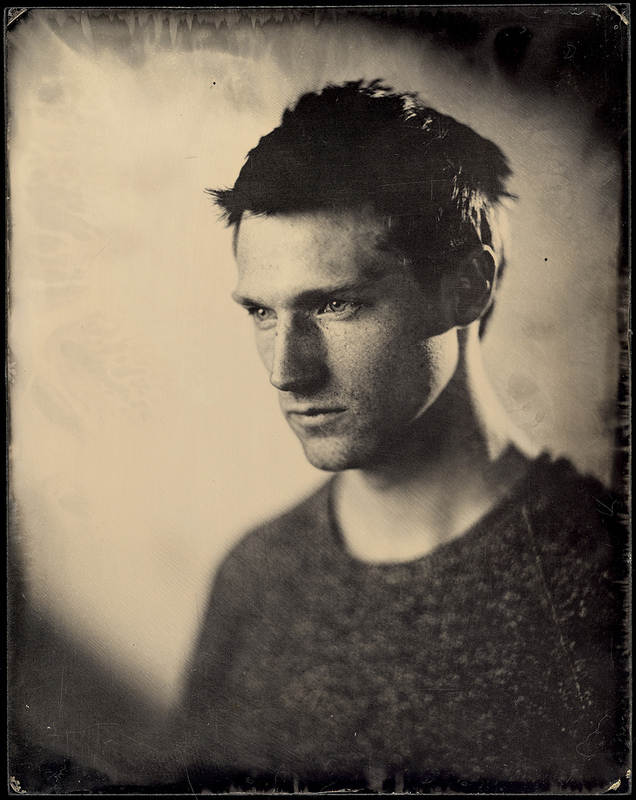 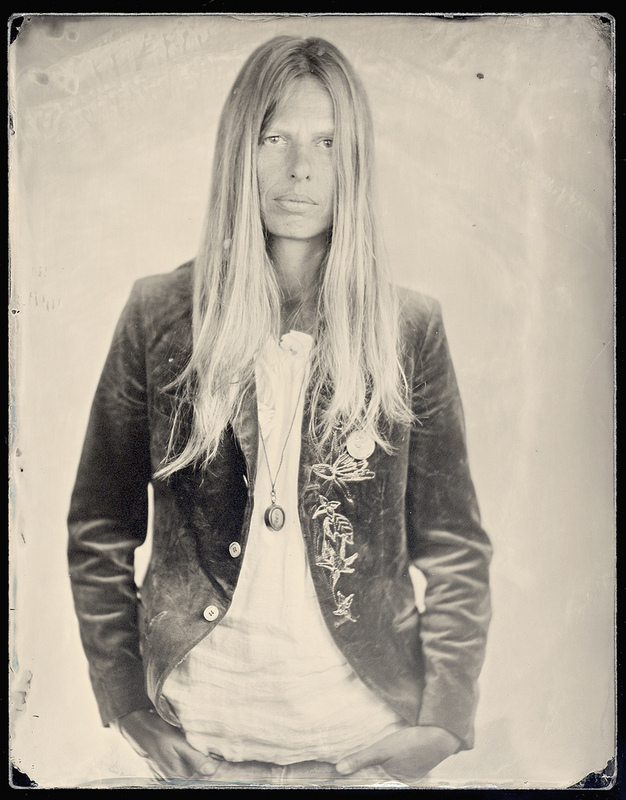 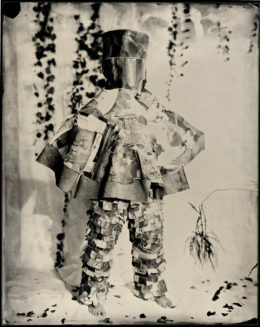 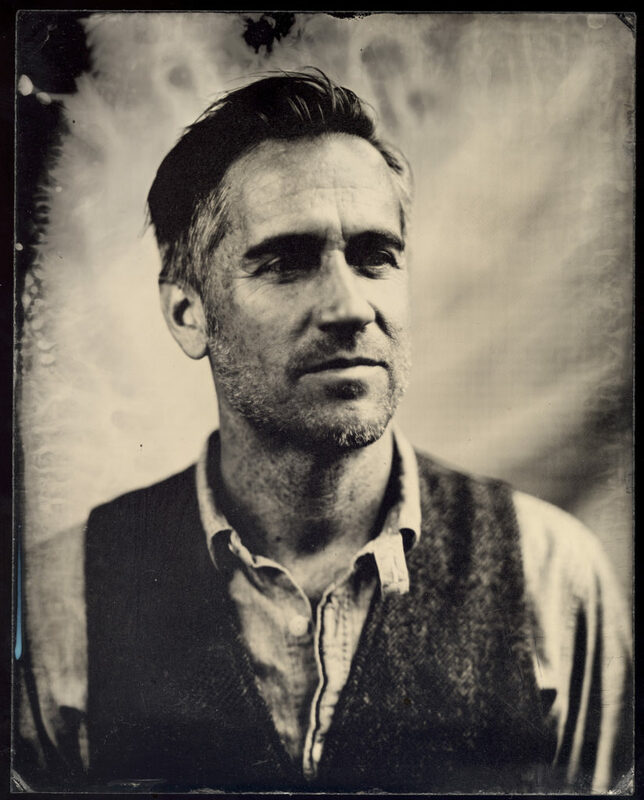 A wet plate image can be compared to a polaroid in that the images are created start to finish in a relatively short amount of time and allow for on the spot editing. 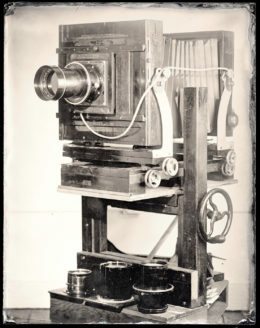 More related images can be seen on flickr. 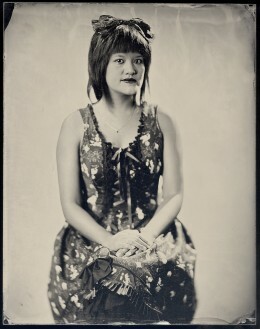 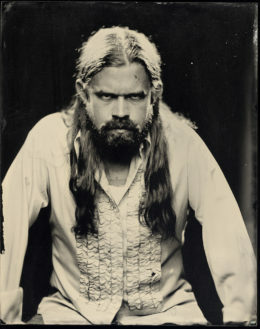 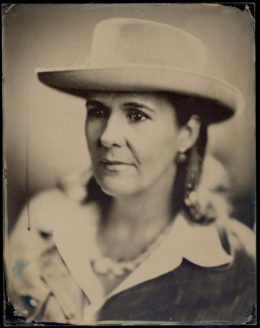 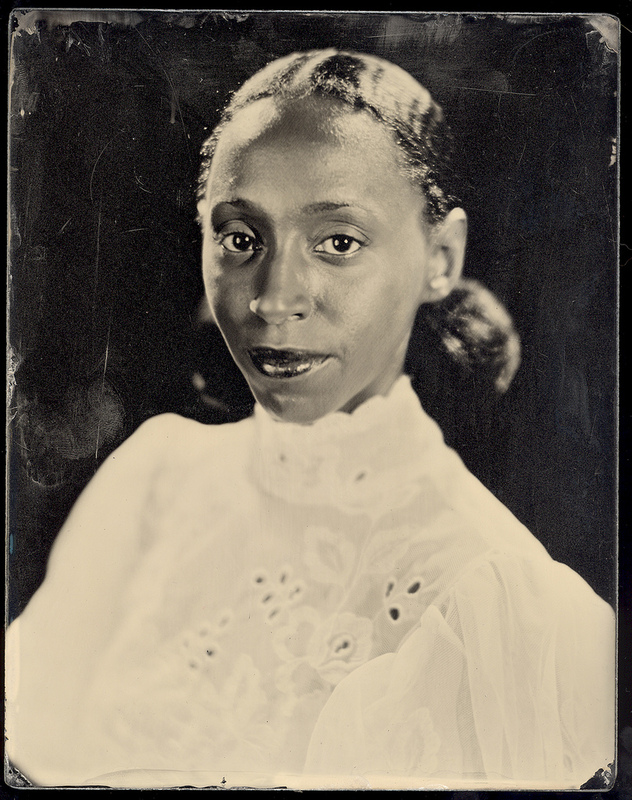 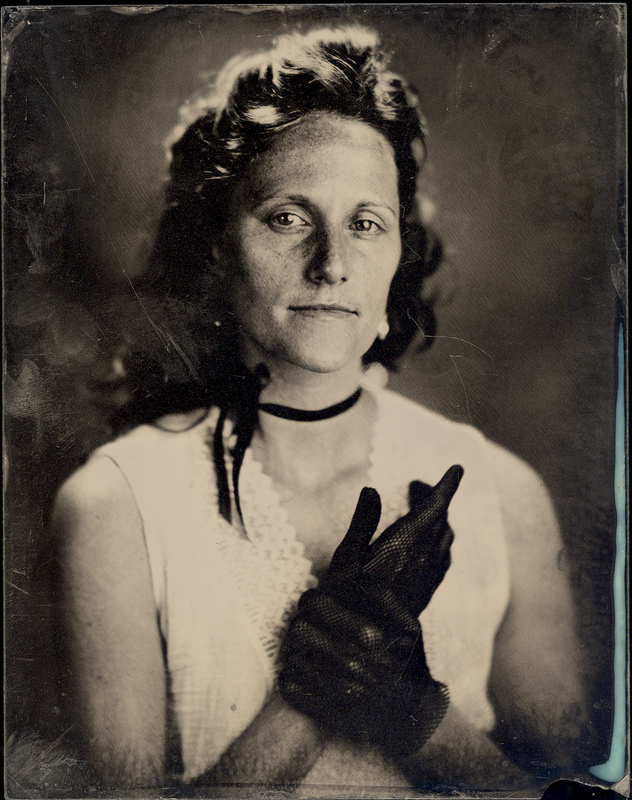 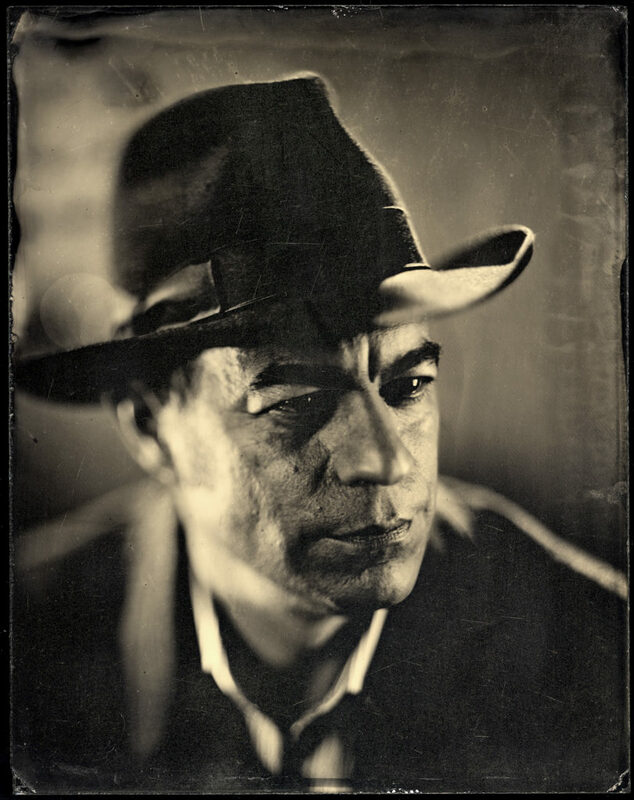 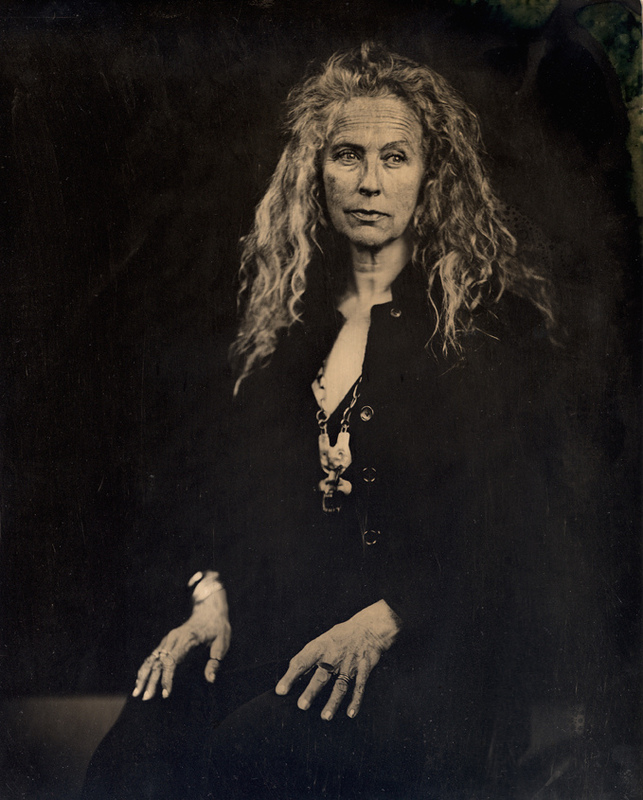 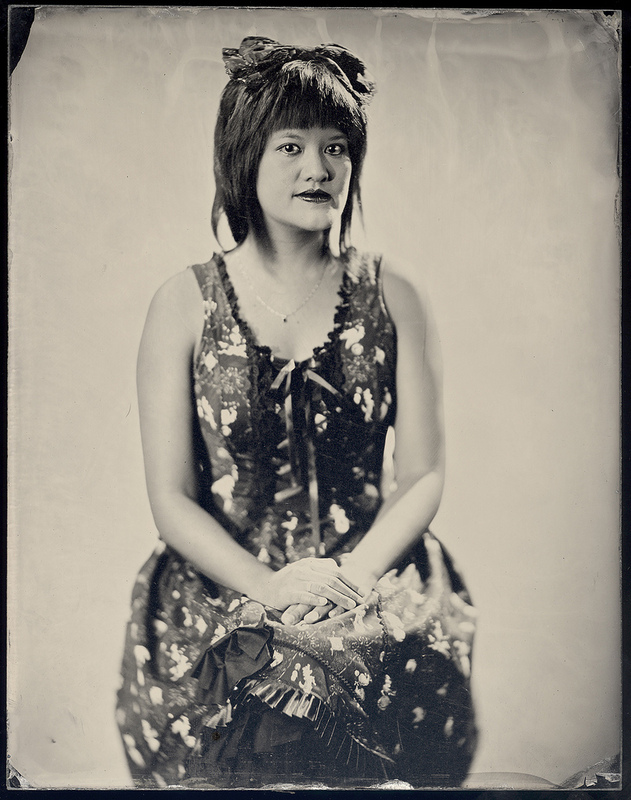 Wet plate collodion ambrotype, 11 x 14 inches. 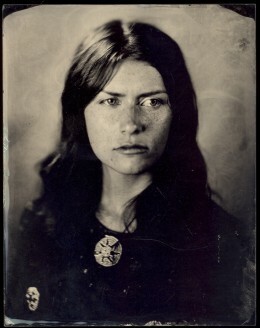 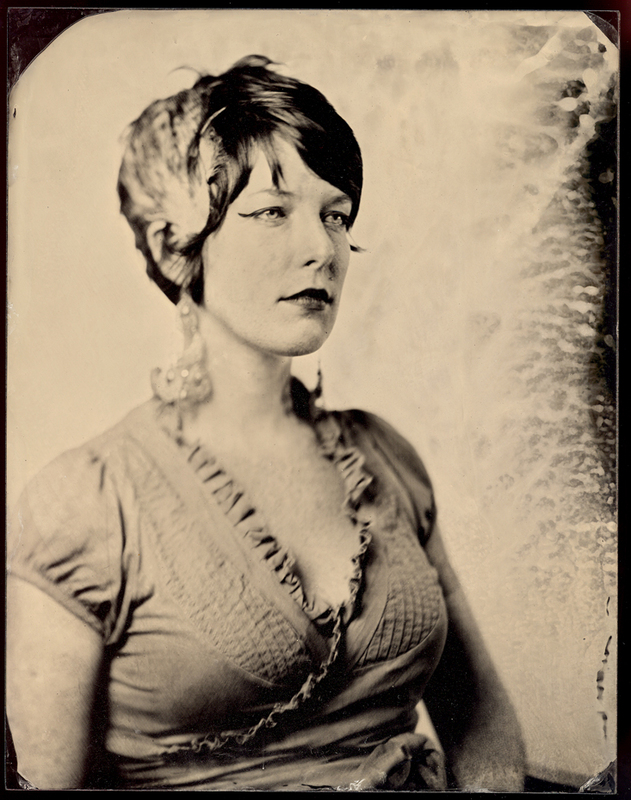 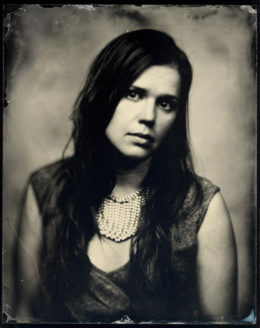 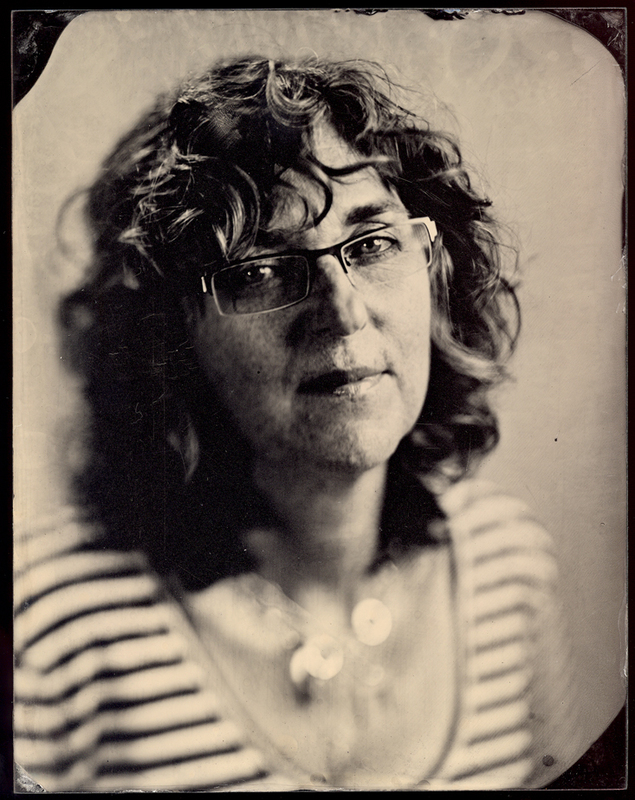 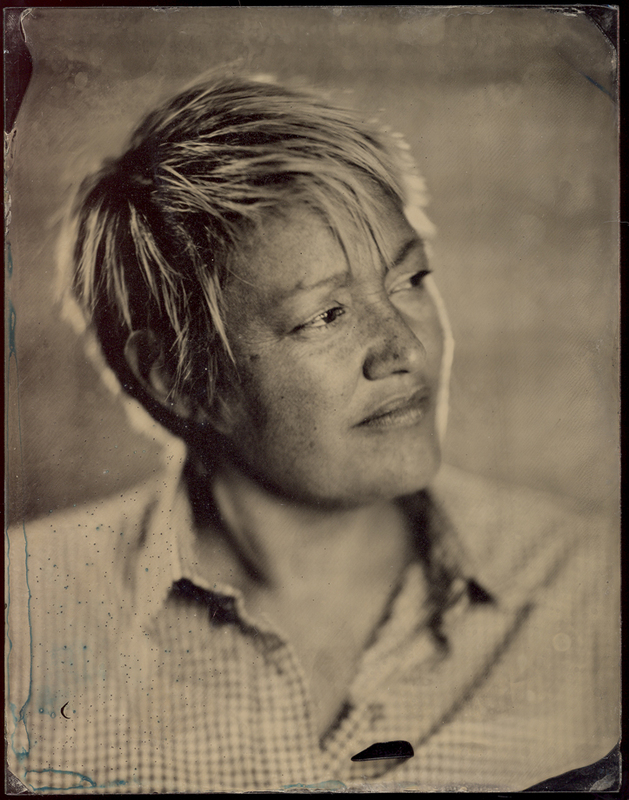 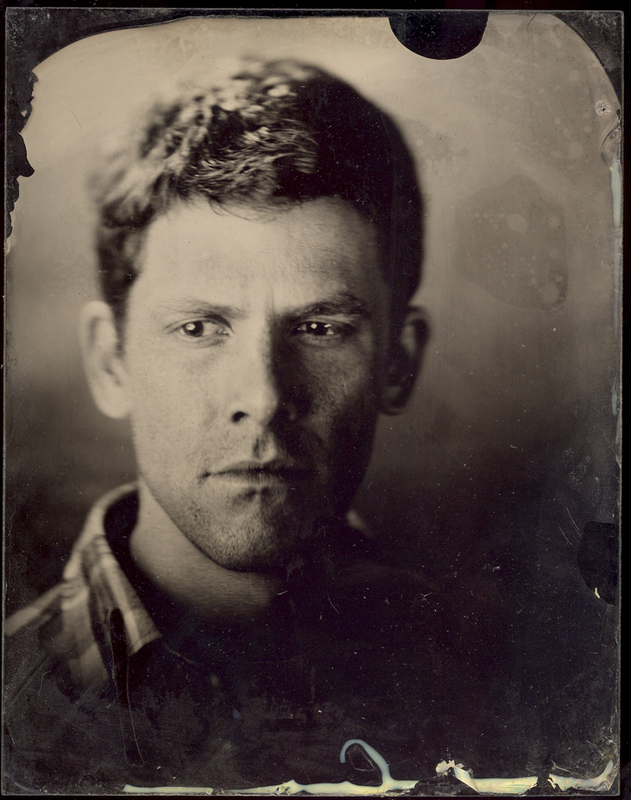 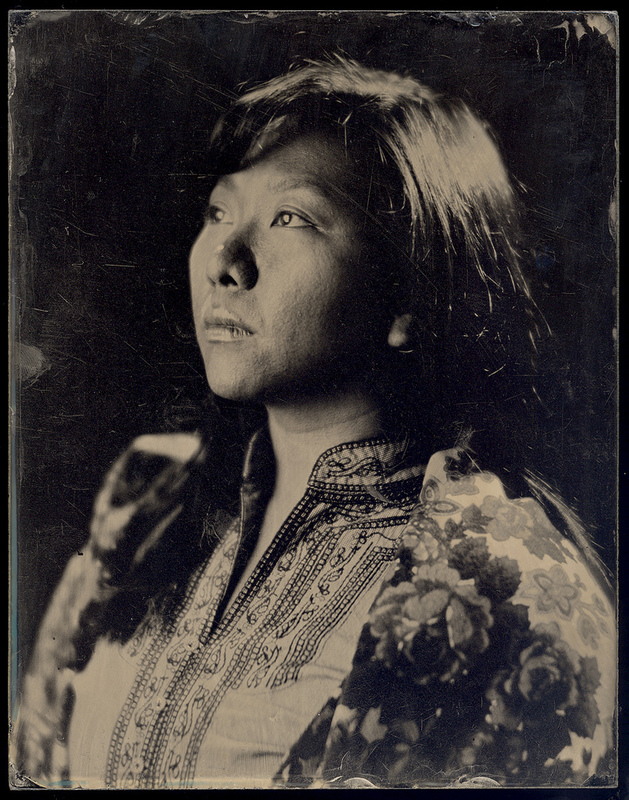 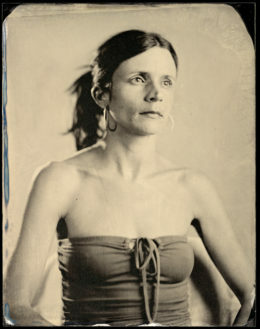 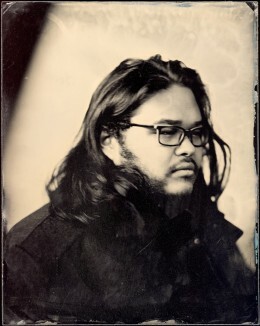 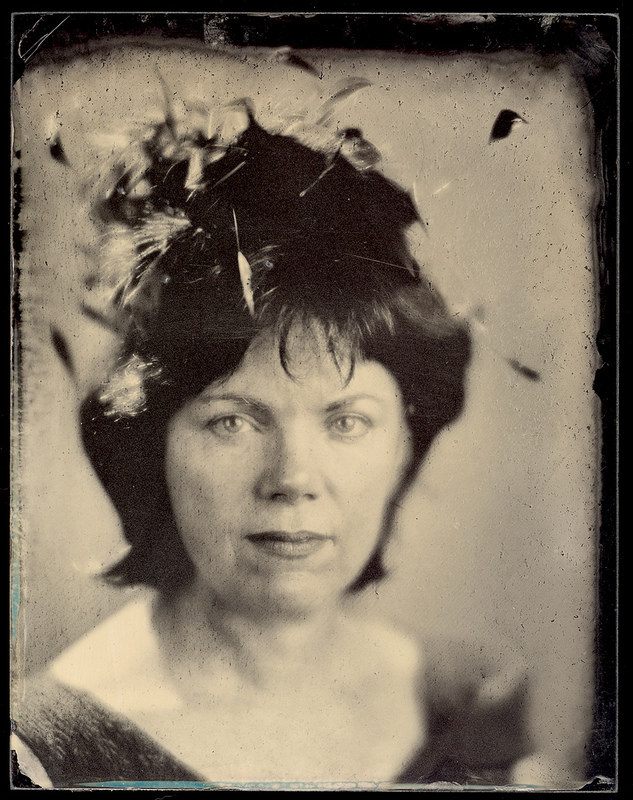 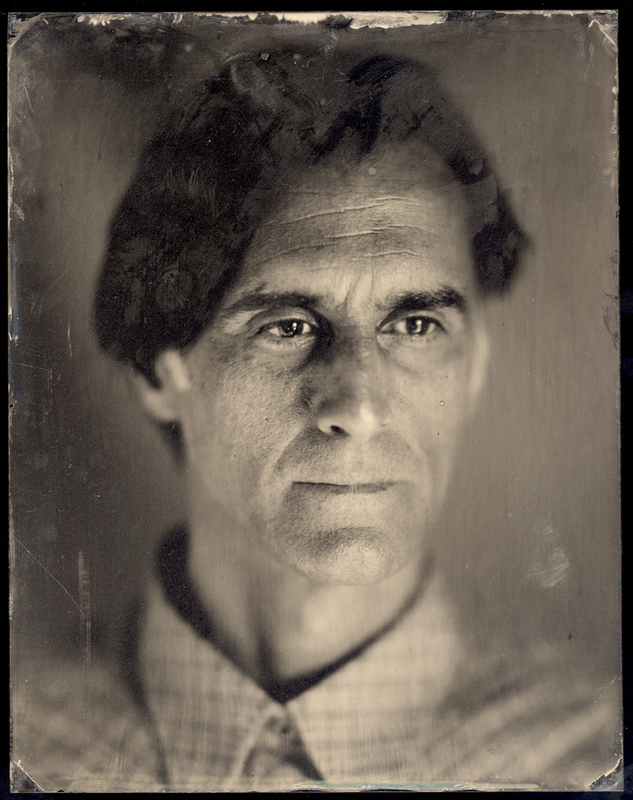 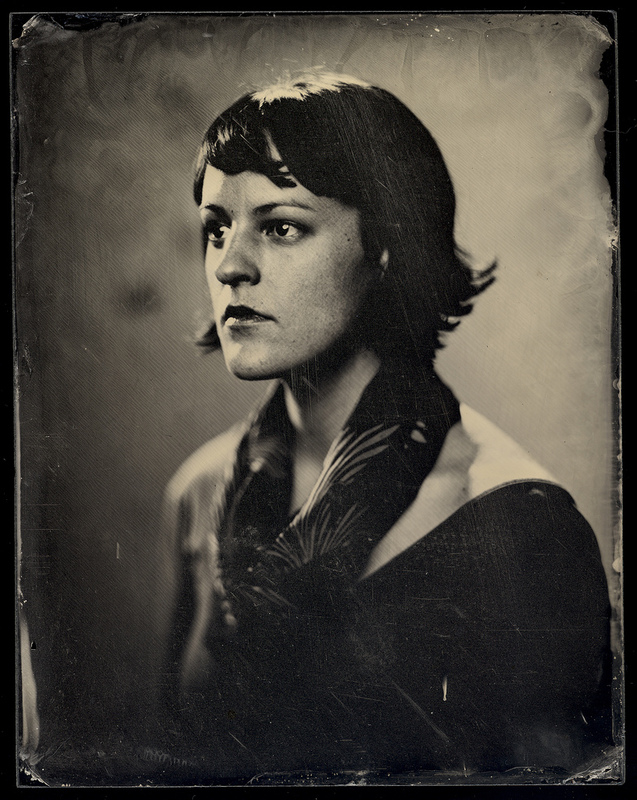 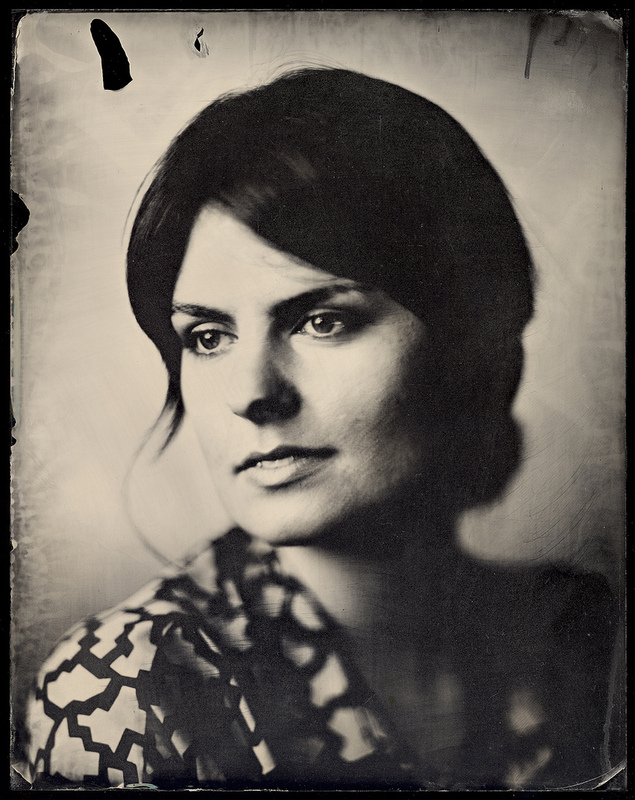 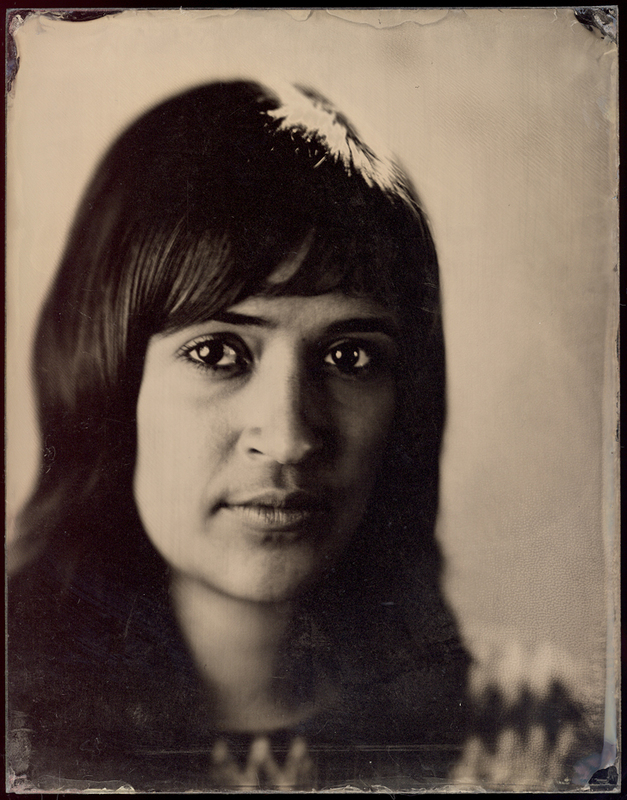 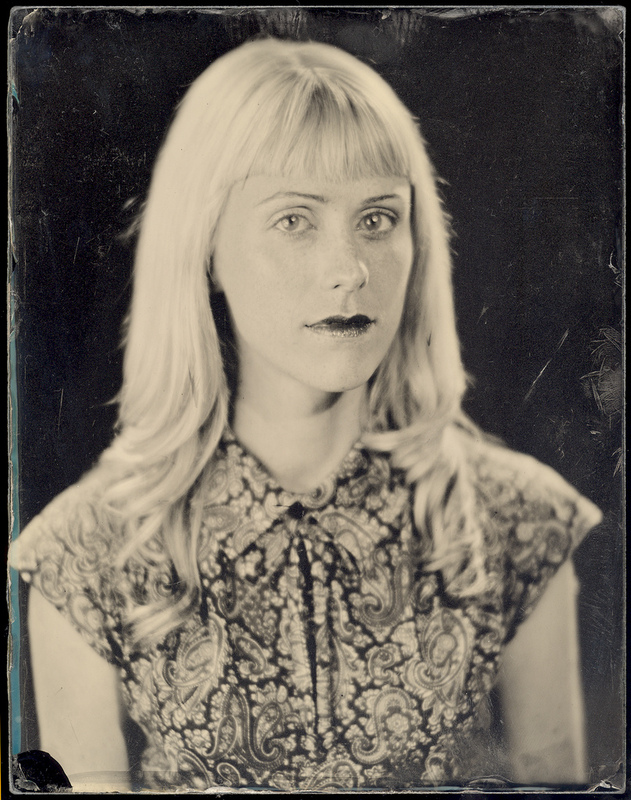 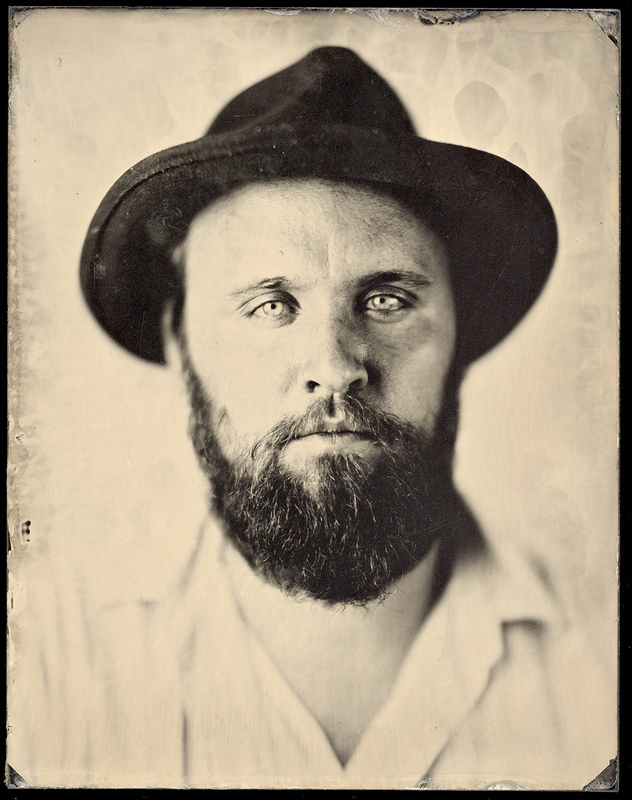 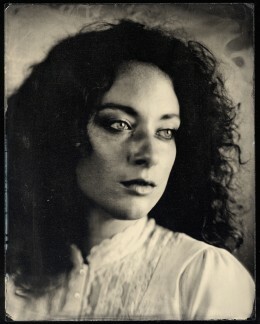 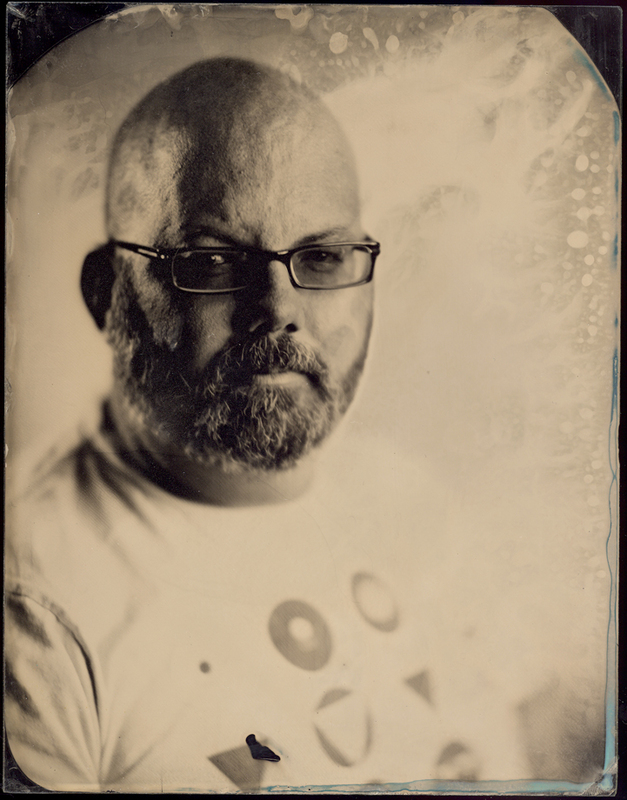 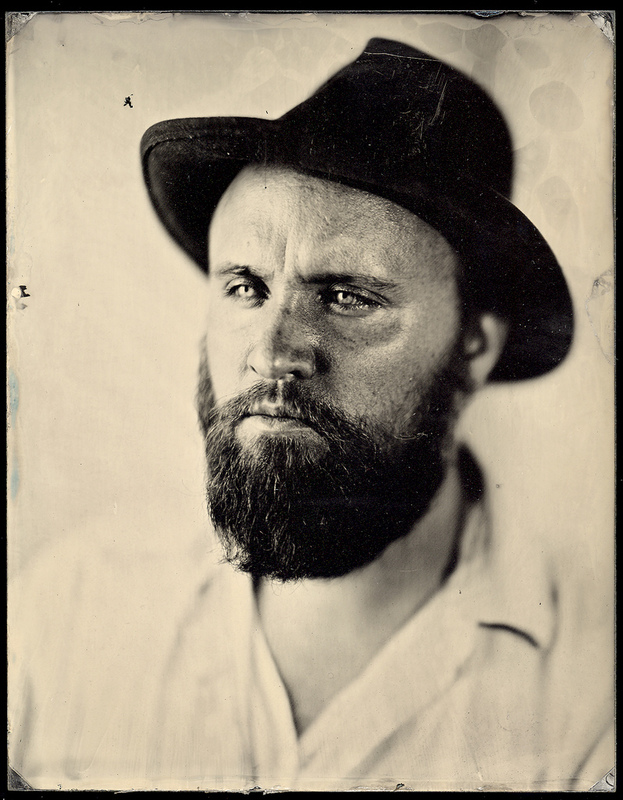 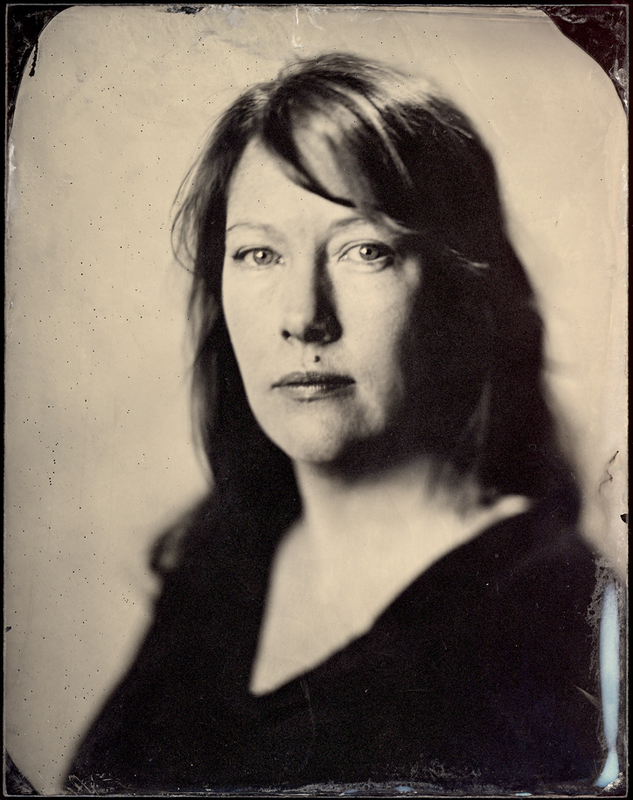 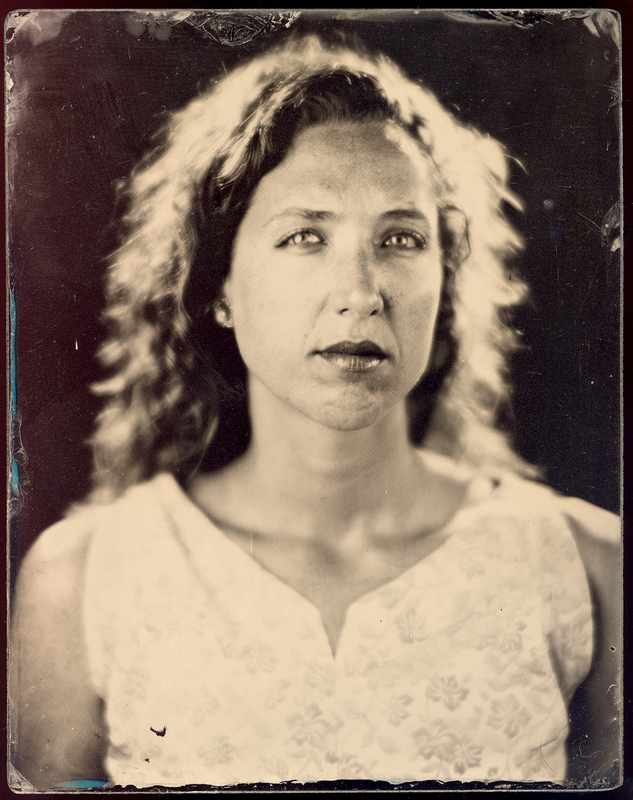 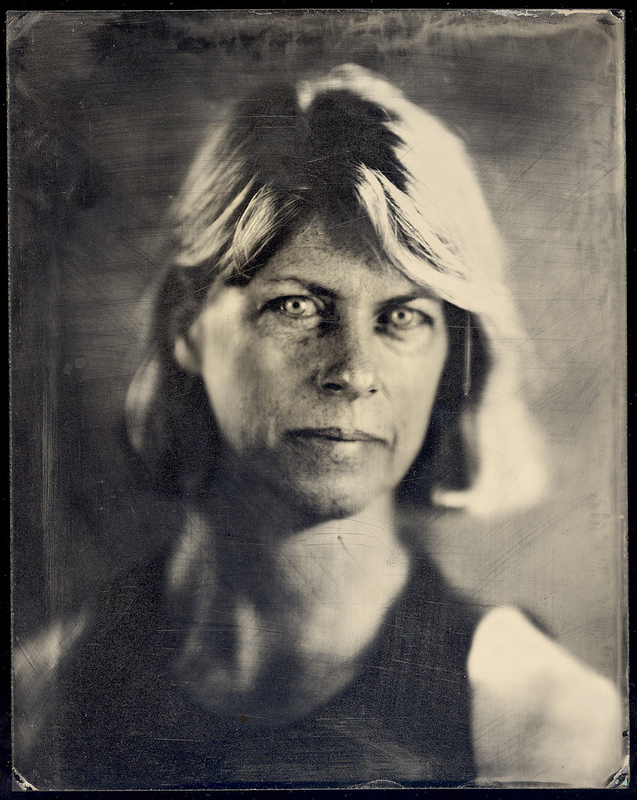 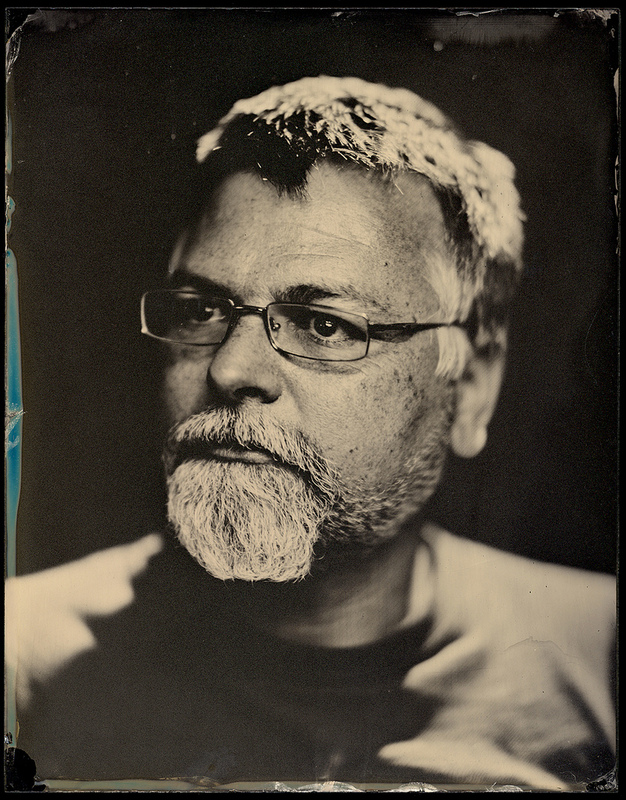 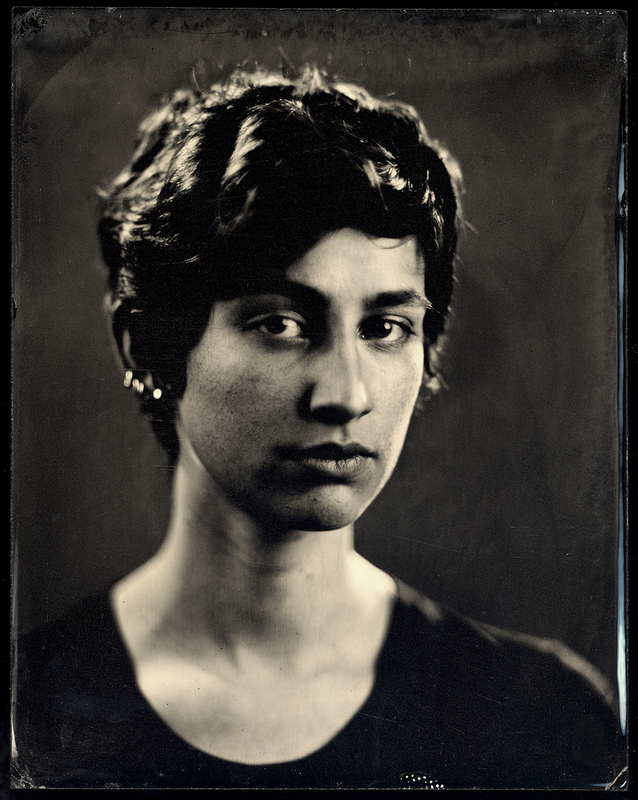 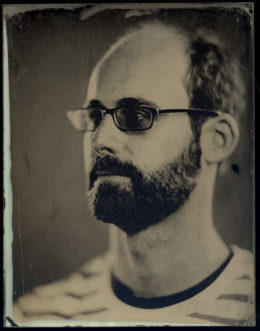 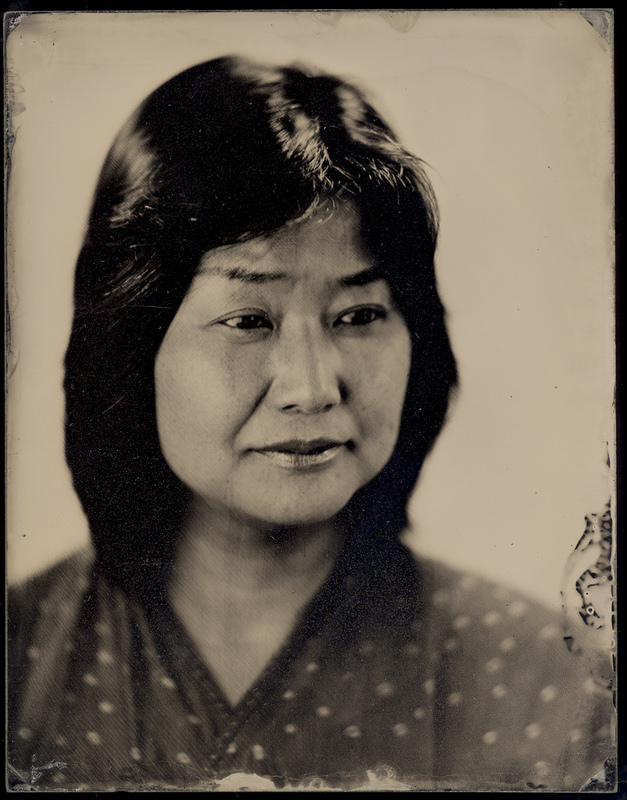 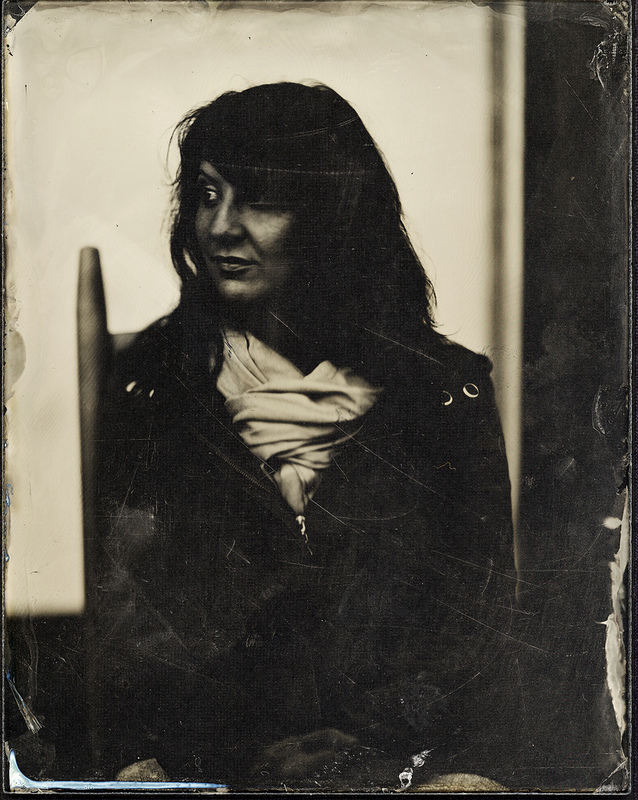 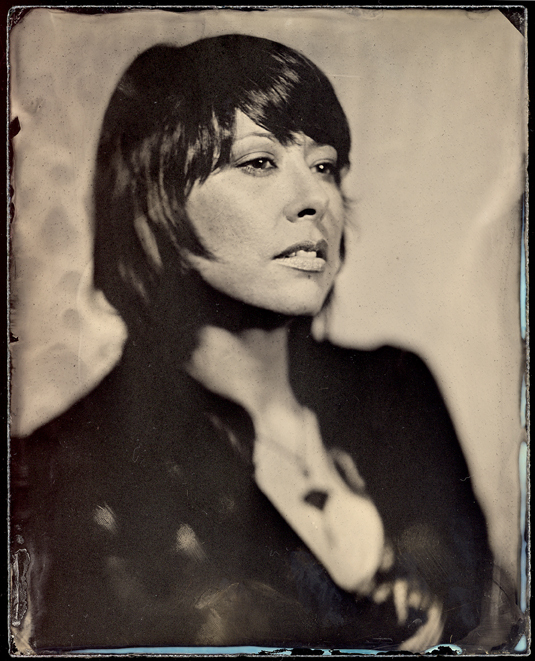 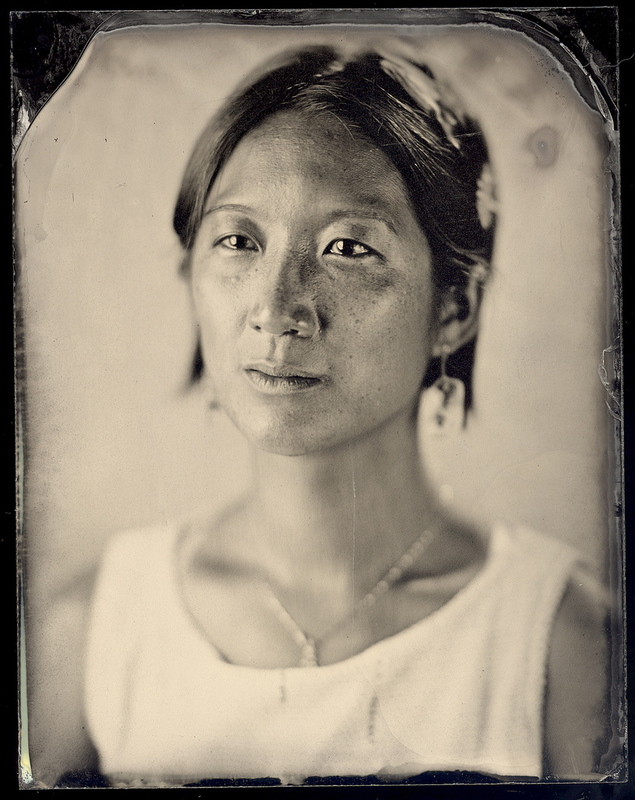 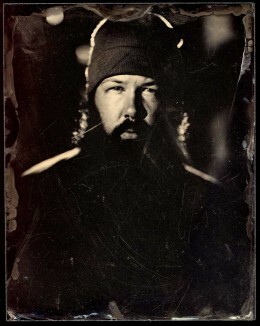 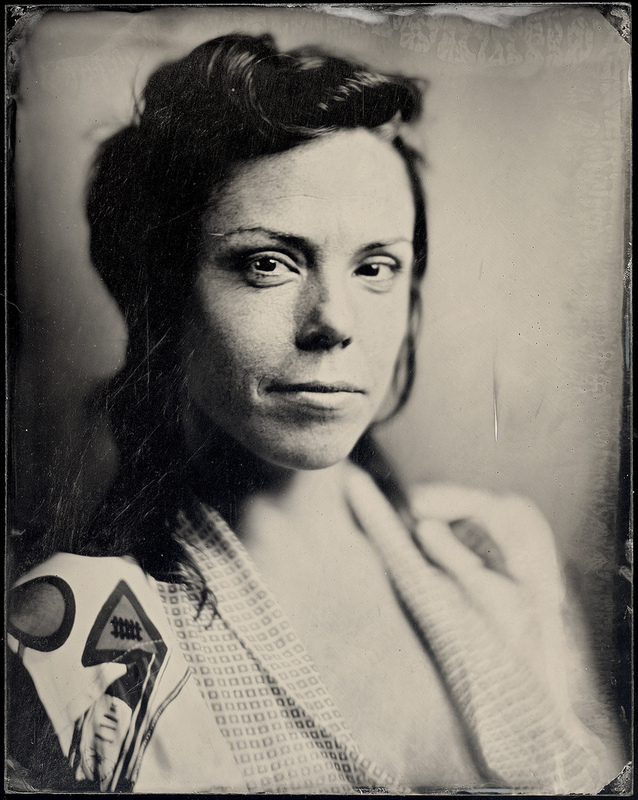 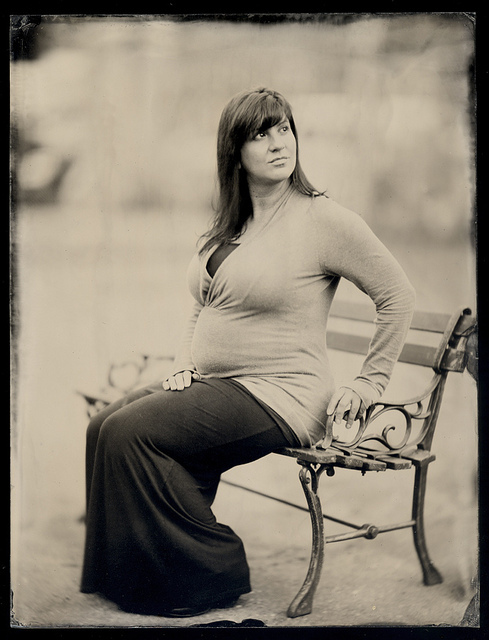 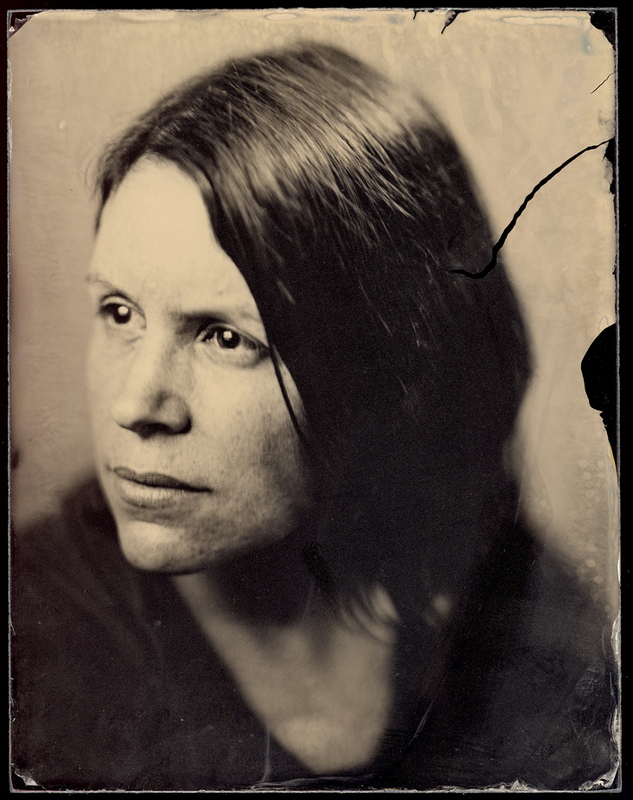 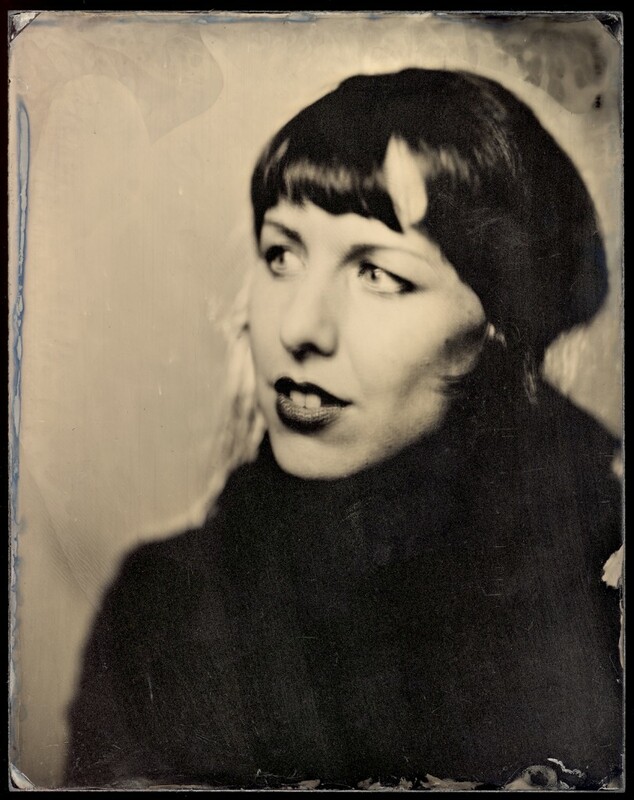 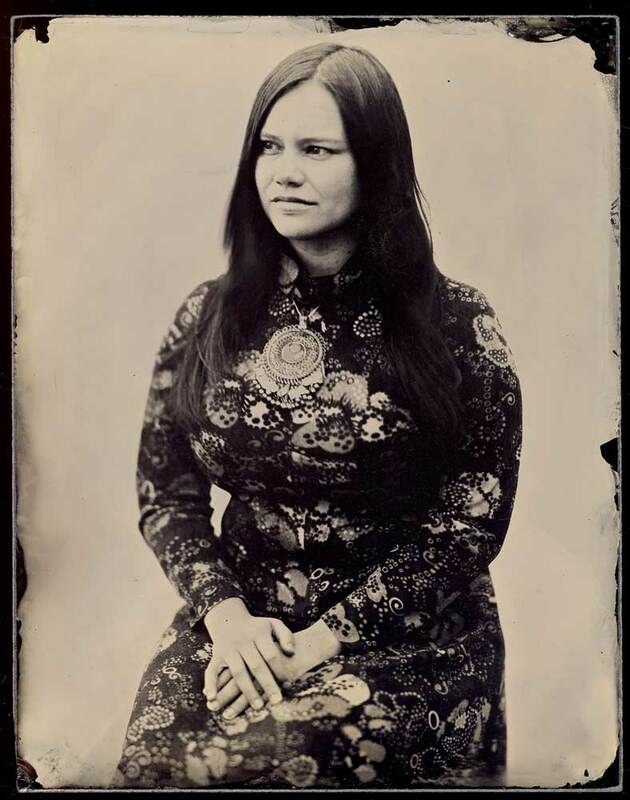 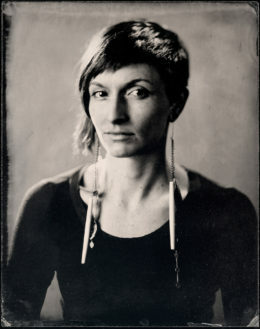 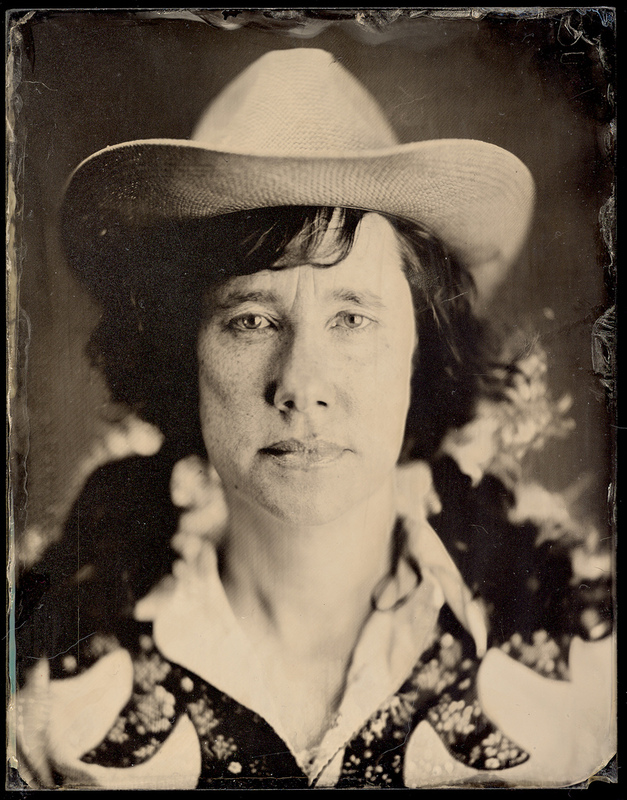 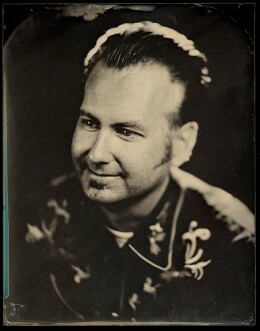 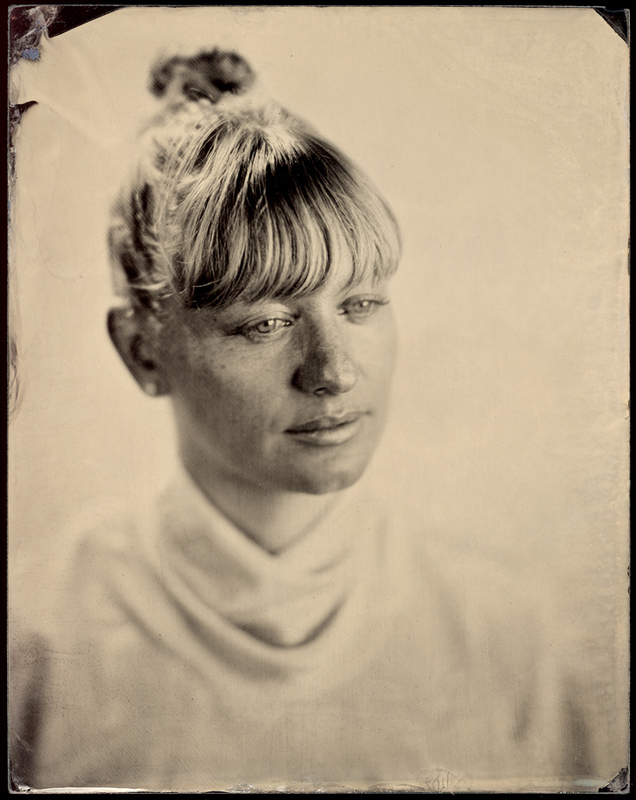 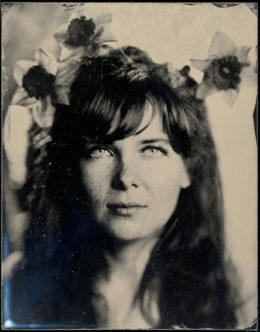 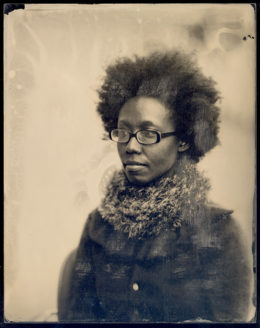 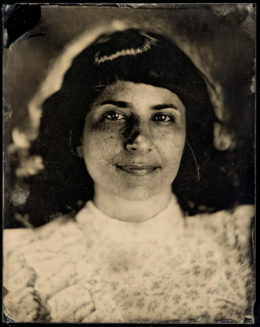 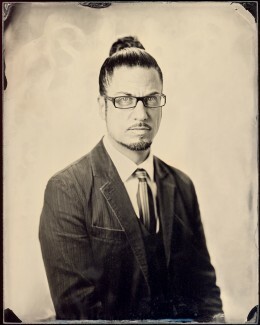 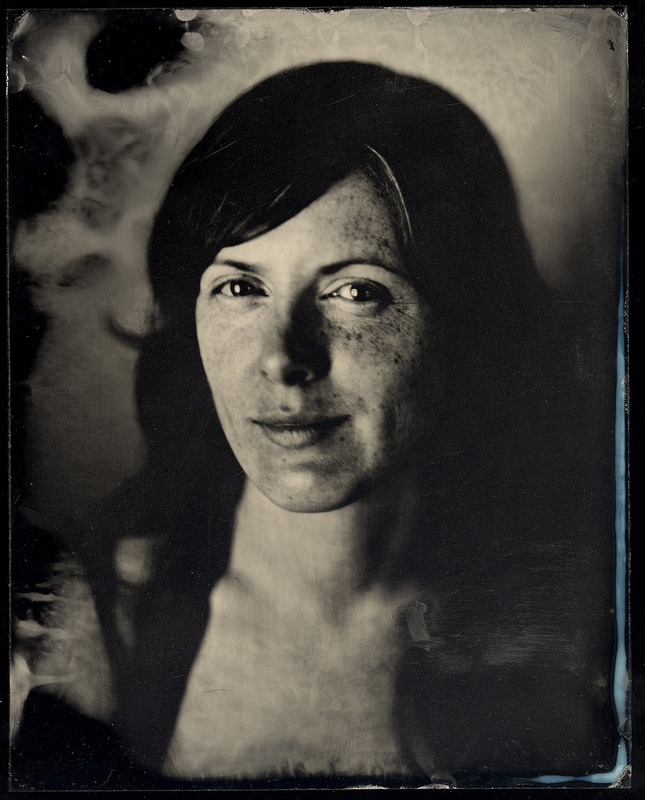 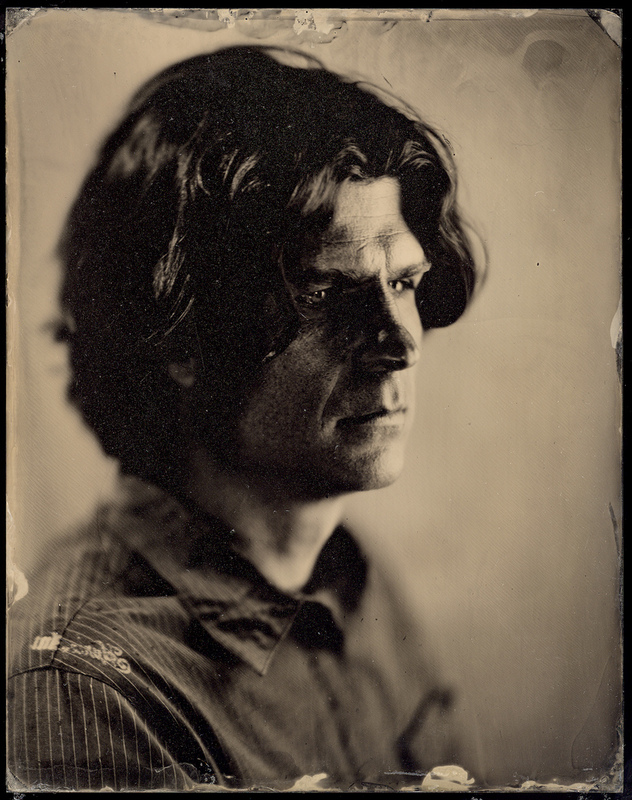 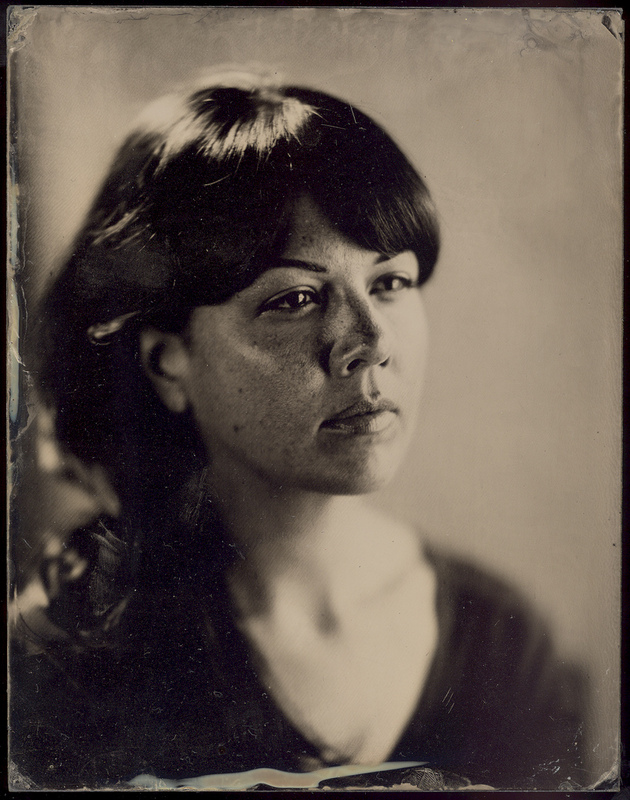 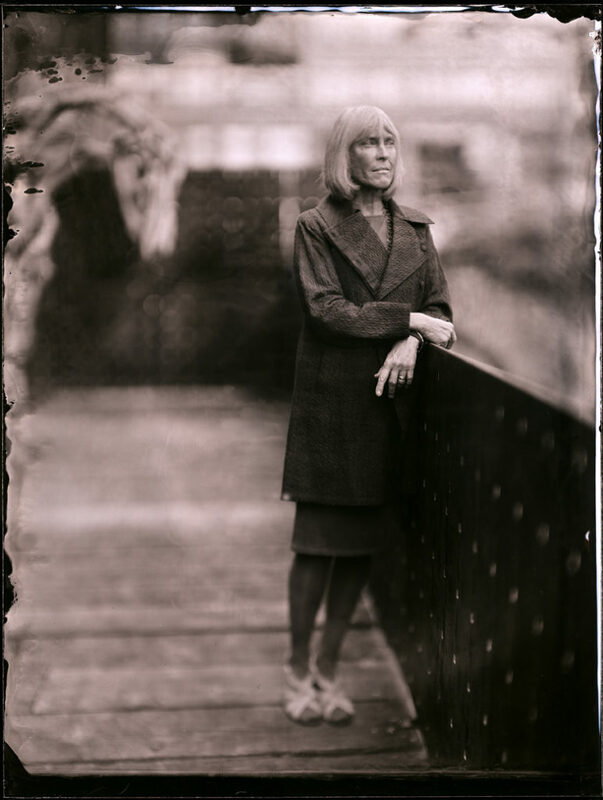 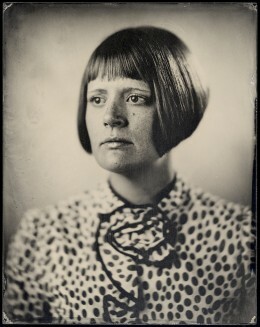 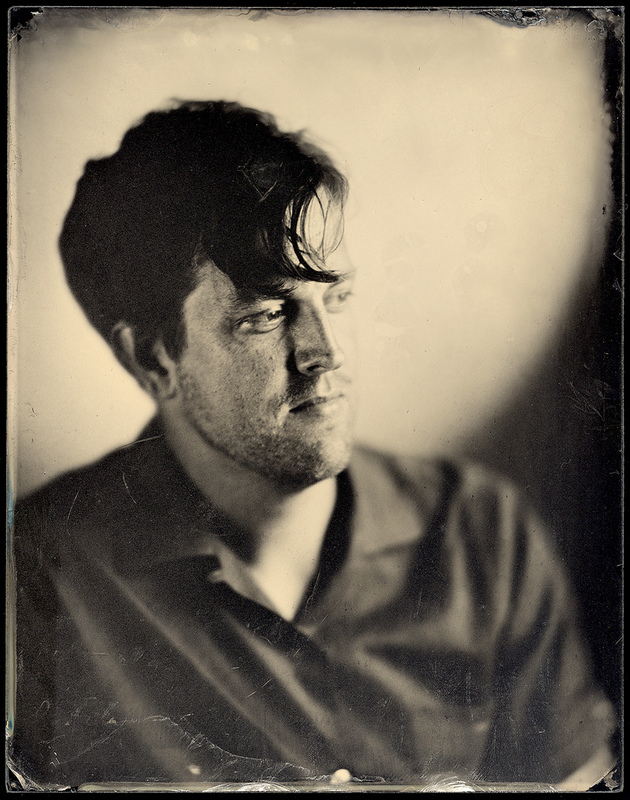 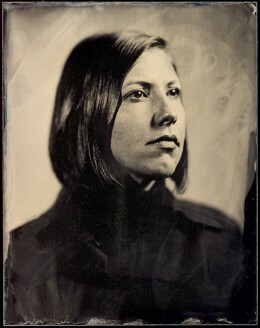 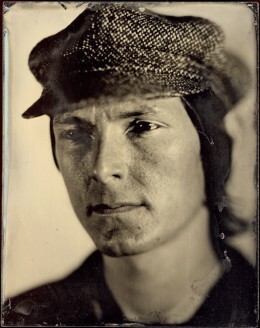 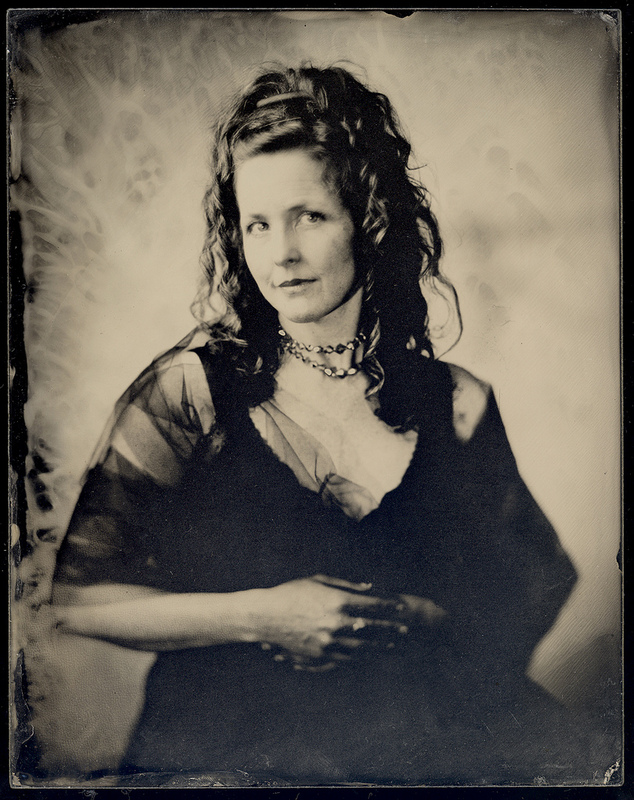 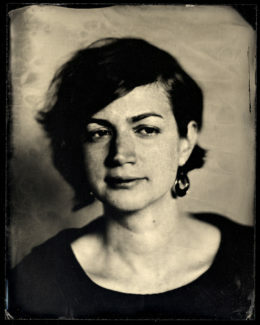 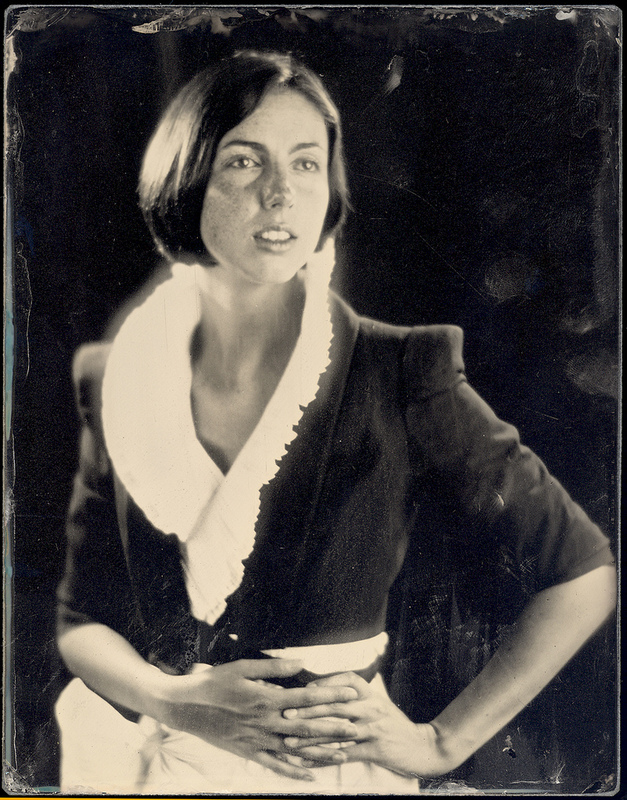 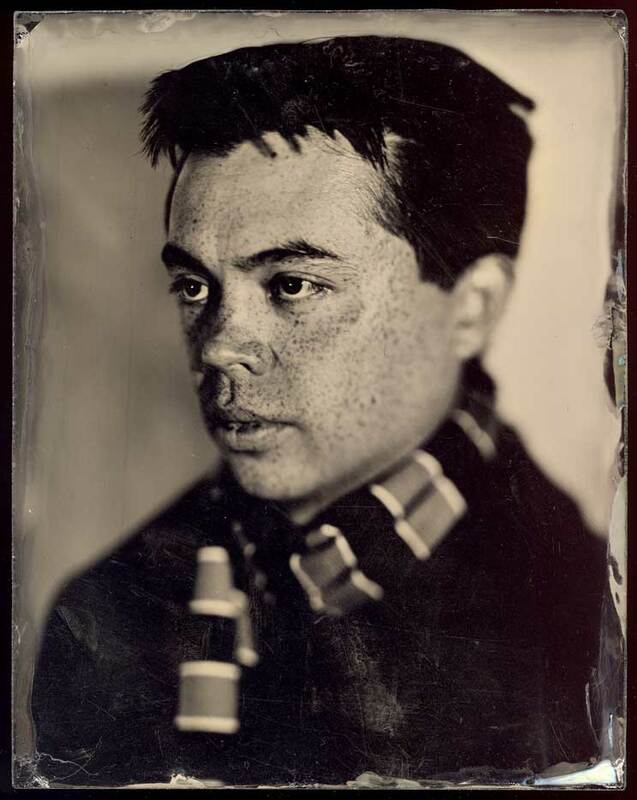 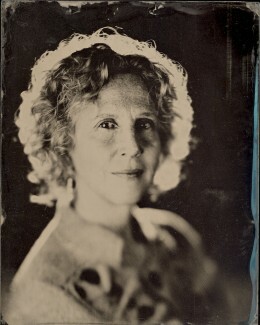 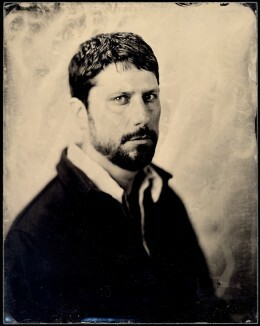 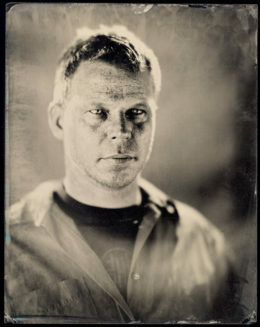 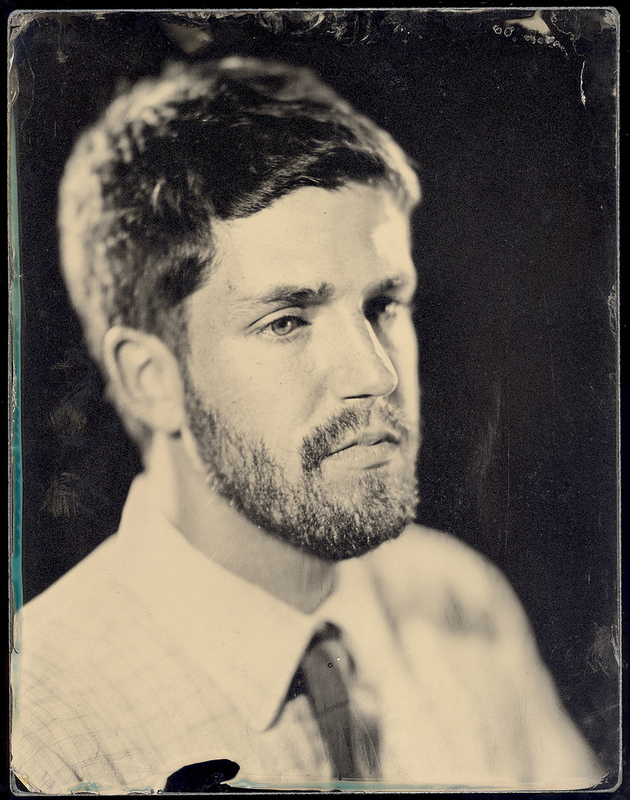 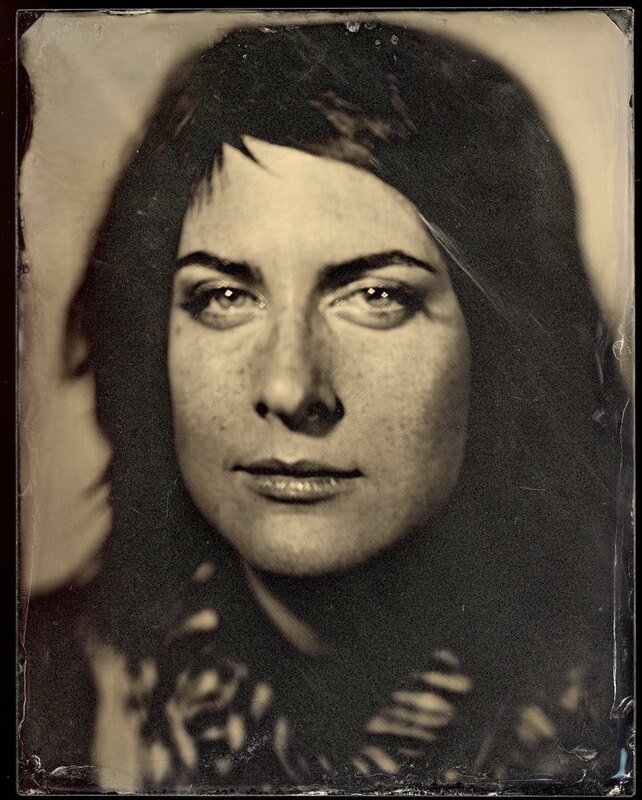 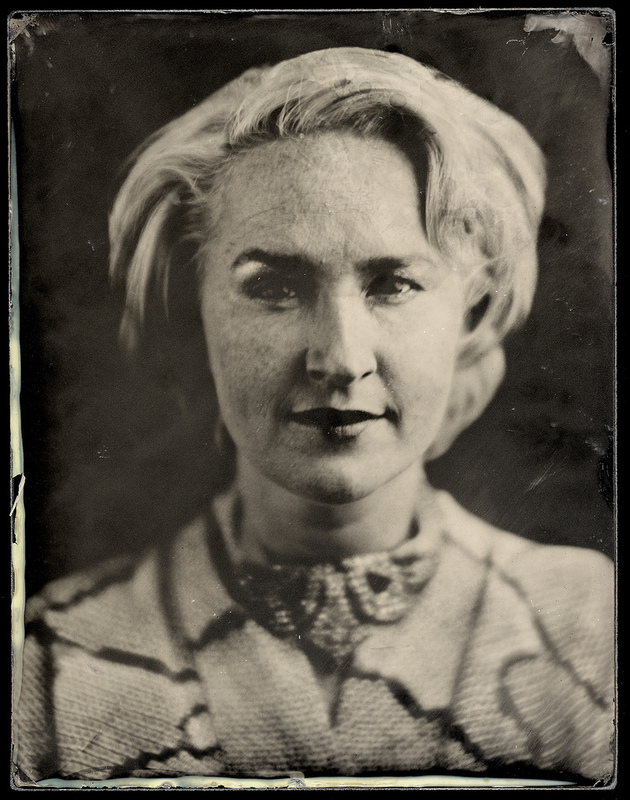 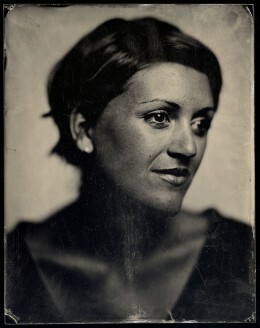 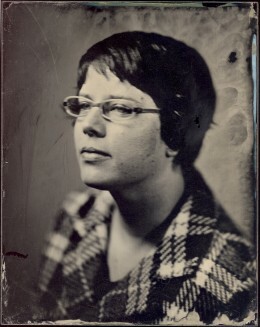 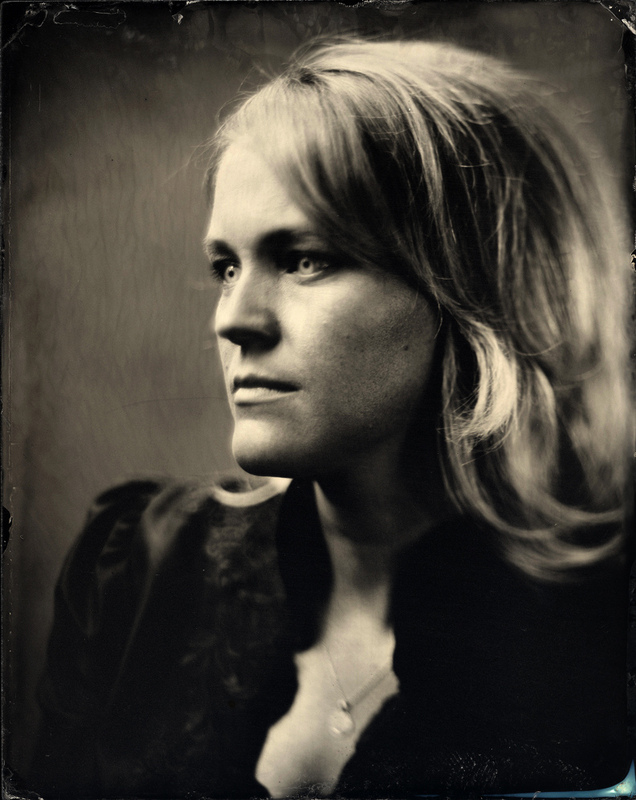 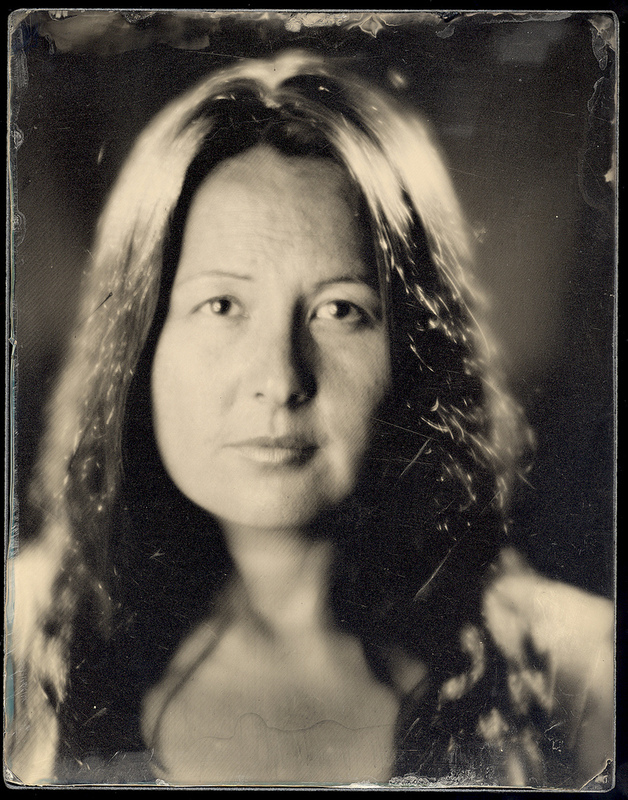 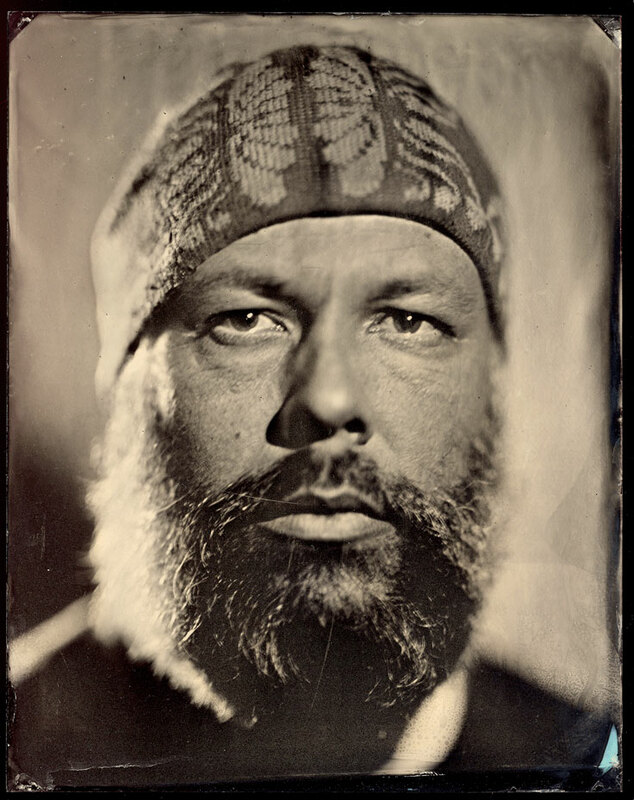 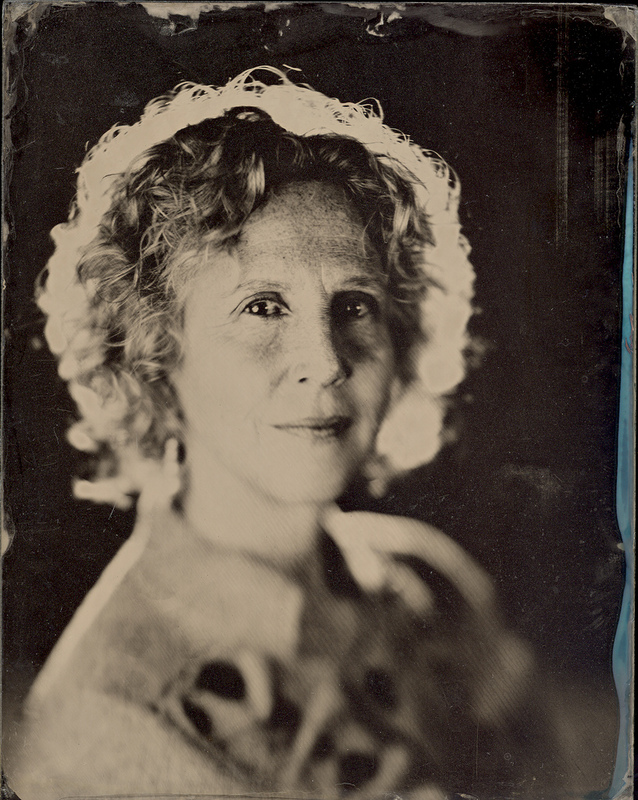 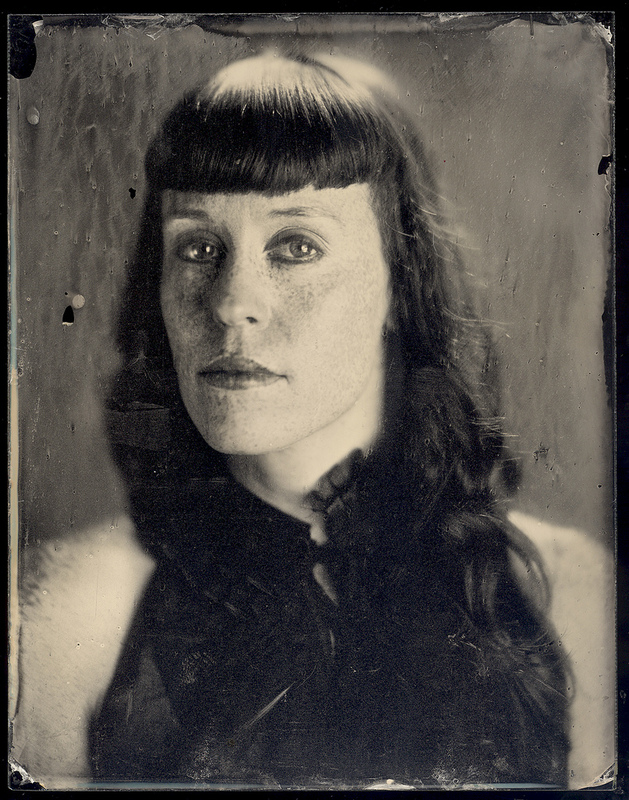 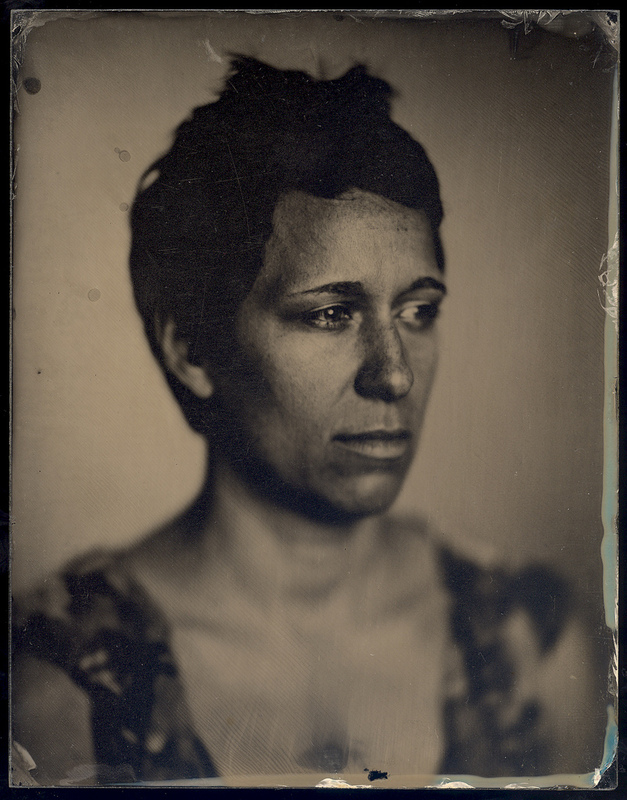 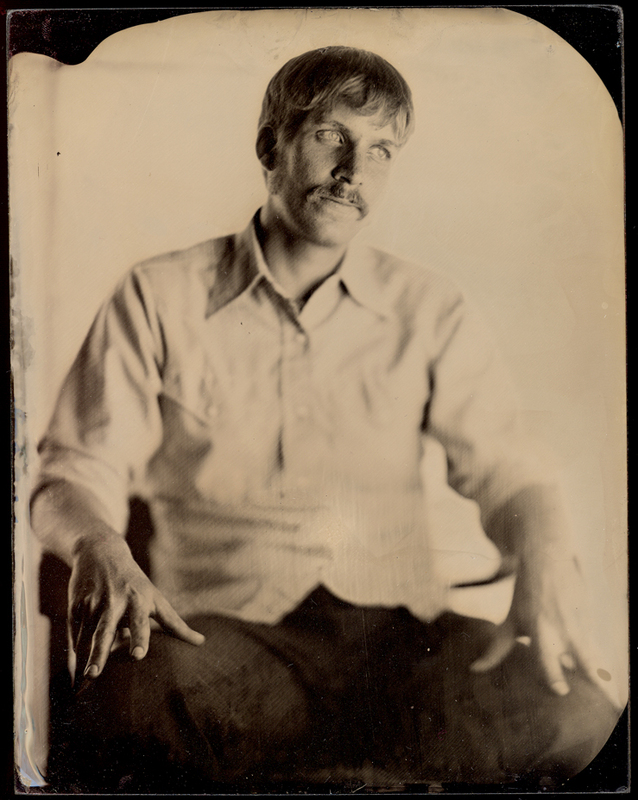 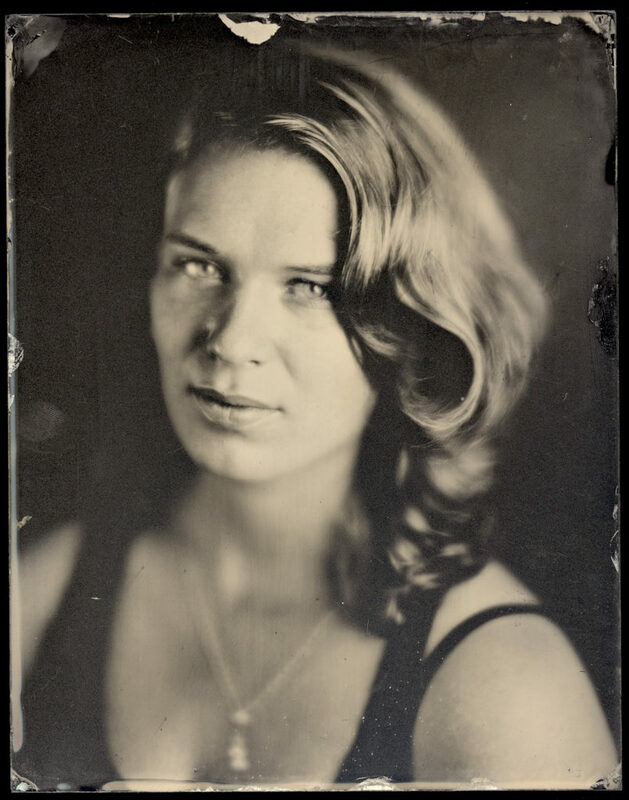 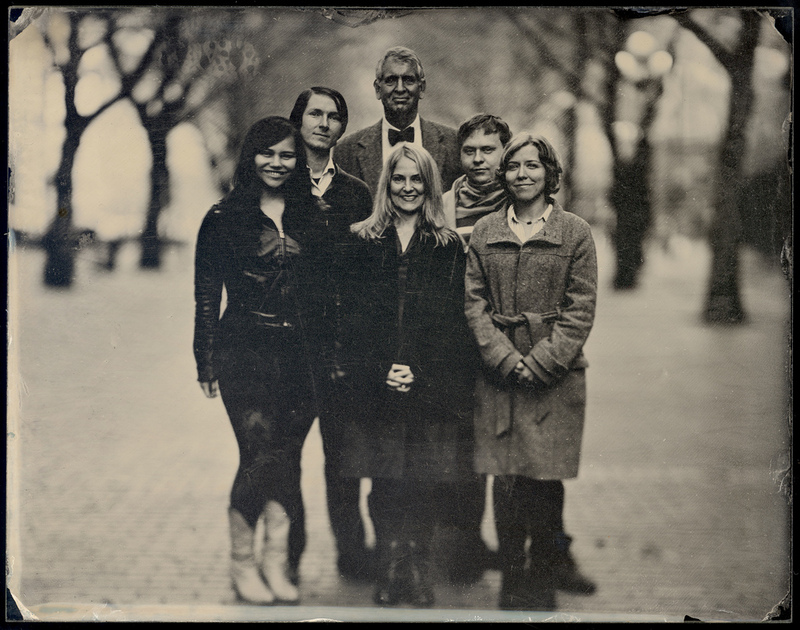 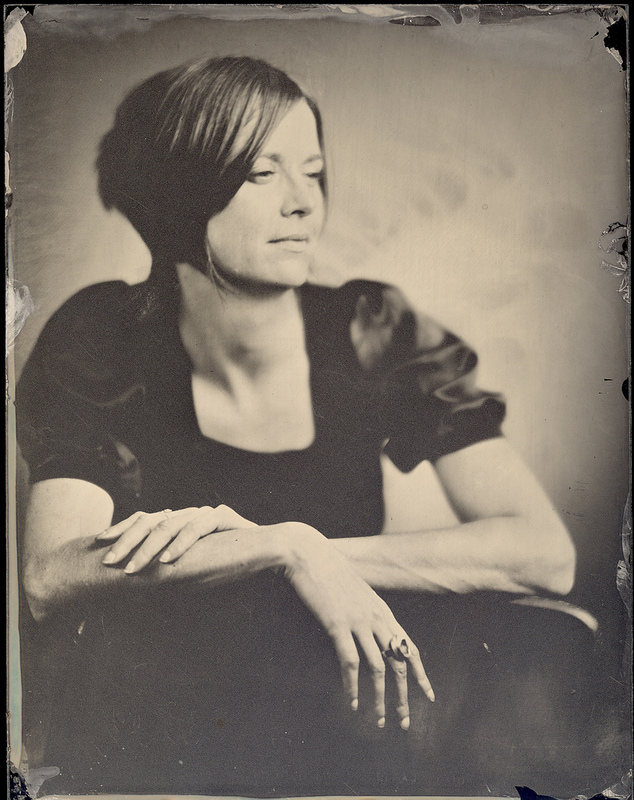 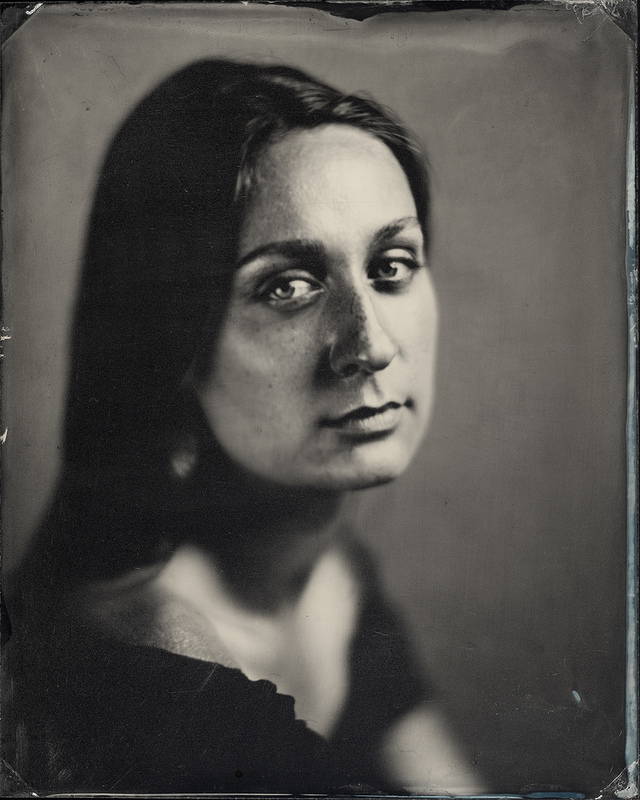 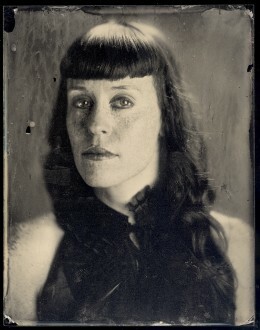 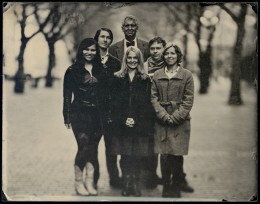 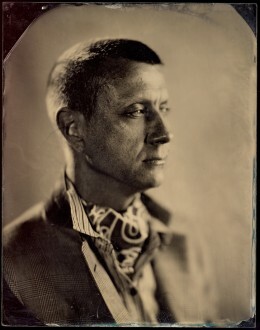 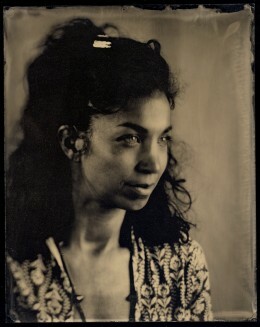 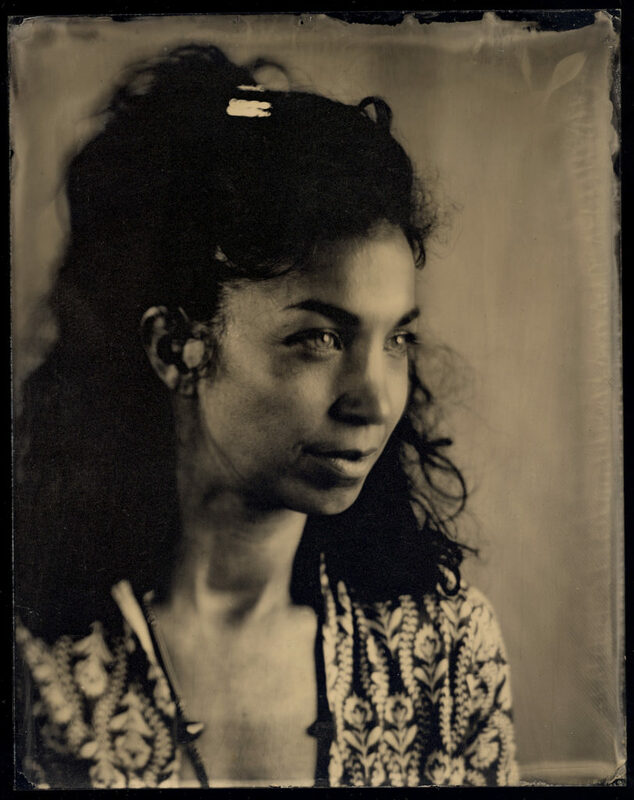 Wet plate collodion ambrotype, 7 x 9 inches.